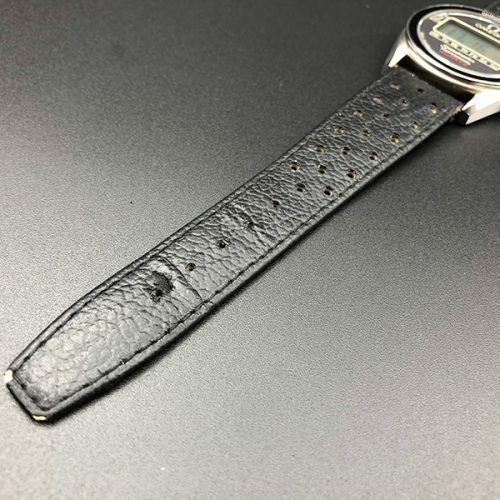 The purpose of this website is to assist the avid collector in finding, what the author will argue, is the “correct” original Speedmaster to be produced with a quartz movement in a Moonwatch Professional case. 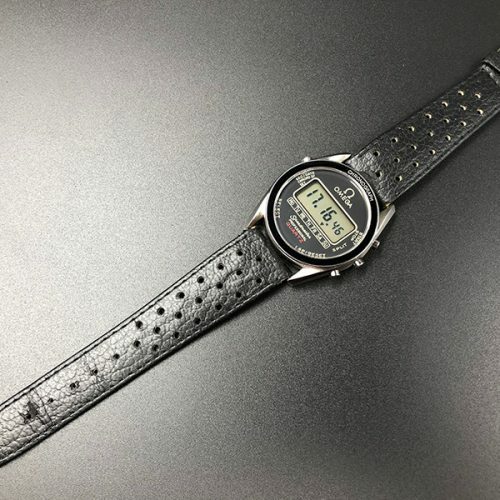 This was model ST 186.0004 nicknamed LCD Moonwatch by the community. 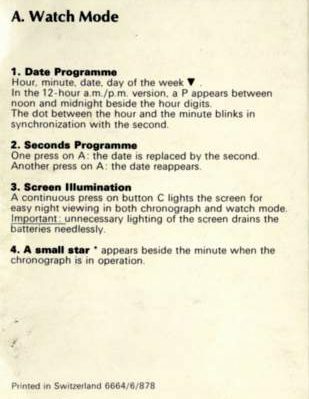 Unnumbered, the production ran over a year and a half period, in the late seventies, from 1977 to 1979. 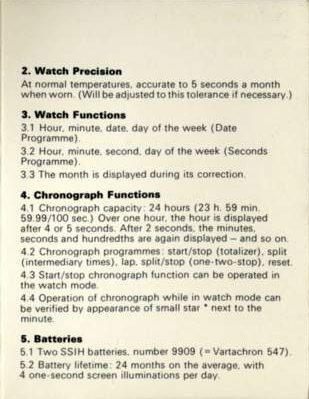 This guide is an attempt to navigate through the parts of the standard production LCD Moonwatch as well as the so called Alaska IV Prototypes made in 1978 for NASA Shuttle Pilots. 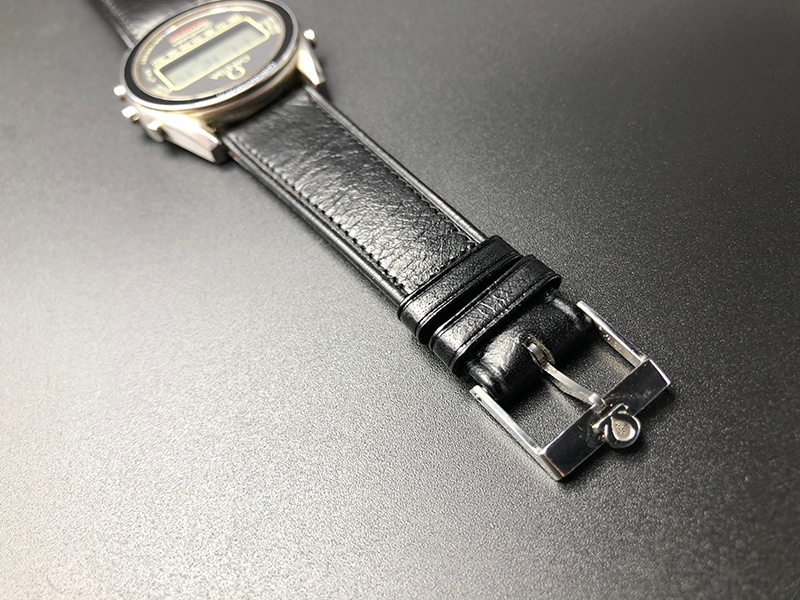 What the author has tried to do in establishing the true heritage of this watch, is to sift through observations, descriptions, commentaries, images and actual watches to come to what is effectively a consensus … and thus this study should never be used dogmatically. 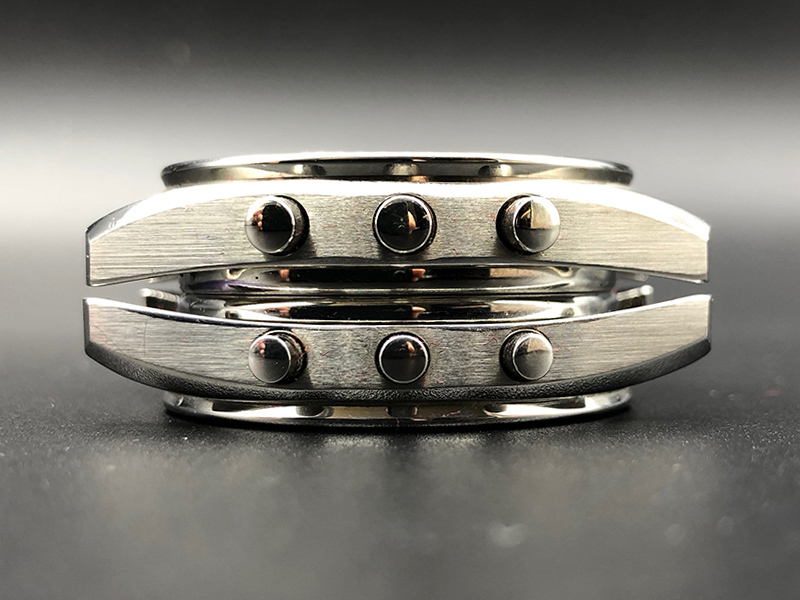 The standard production model and the prototypes appear in the literature but are never presented in detail. This website was created by an Omega Speedmaster collector, with priceless help of Petros Protopapas from the Omega Museum. 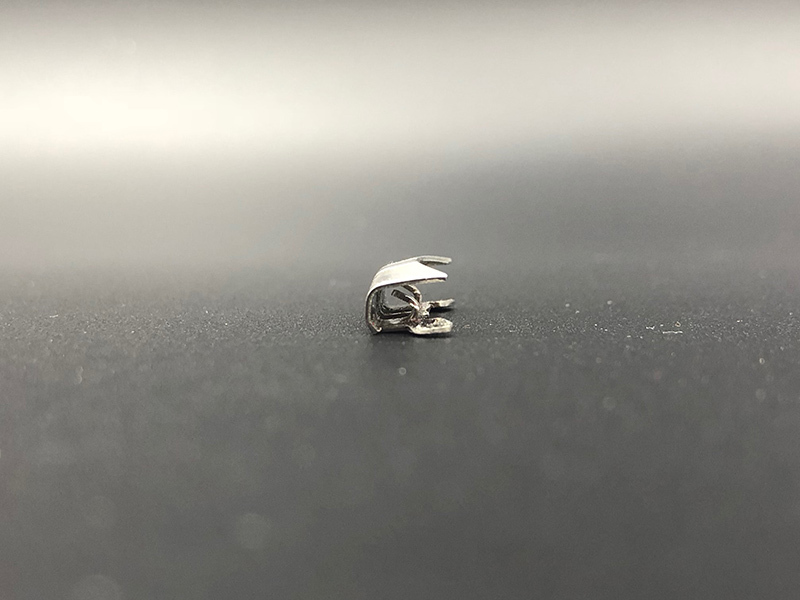 In order not to hamper his research the Author prefers to remain anonymous however he can be found on Instagram @kovpics. 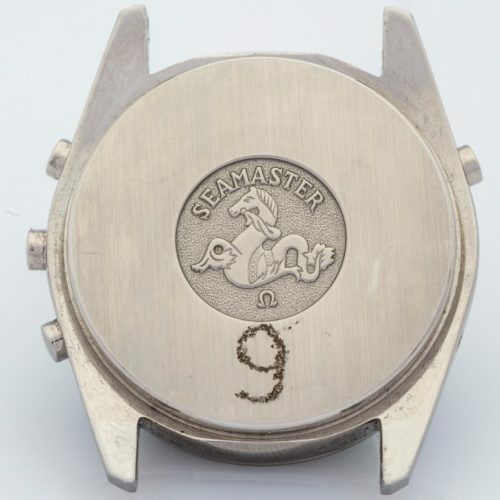 He’s happy to be emailed with any questions at hello@omegalcdspeedmaster.com. The Olympic Games – where millions of fans are eager for the thrills and spills of competition sport. 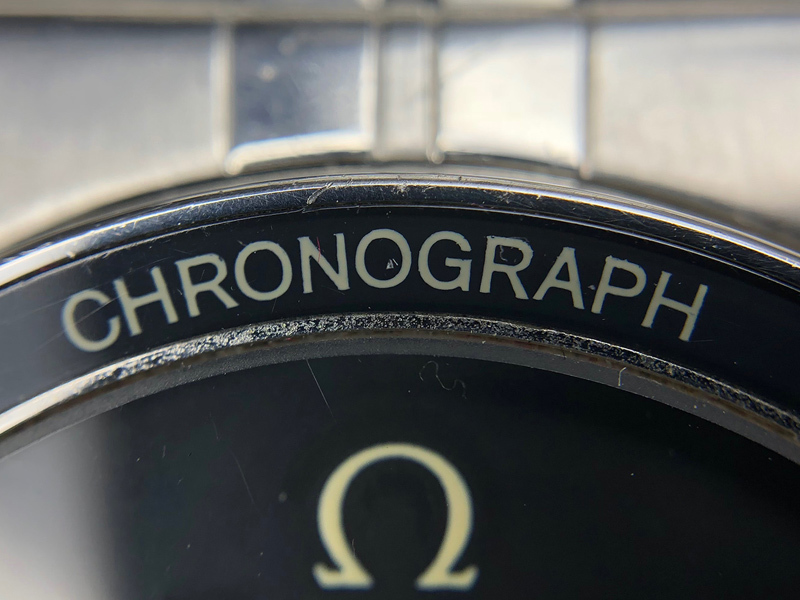 Here the supreme arbiter is timekeeping and It must not fail, falter or fumble. 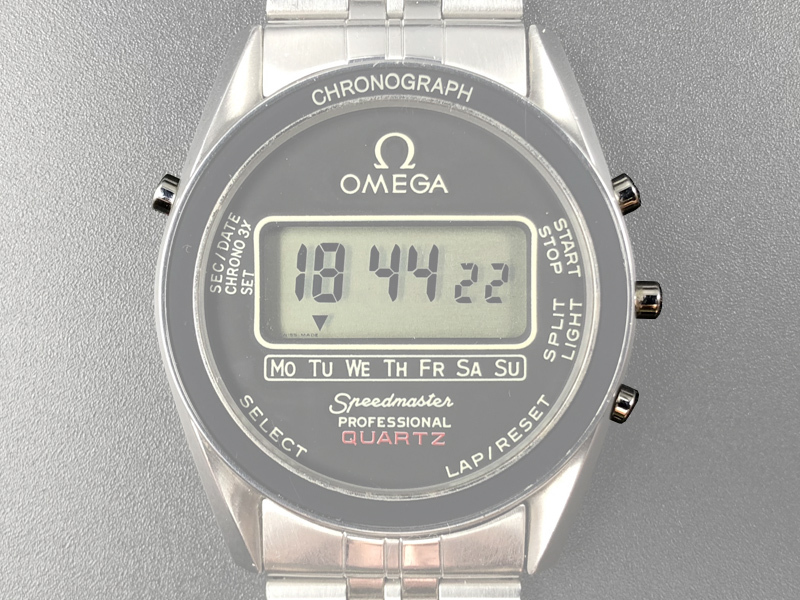 Things have truly changed since 1932 when, for the first time, Omega timed the Olympic Games in Los Angeles. 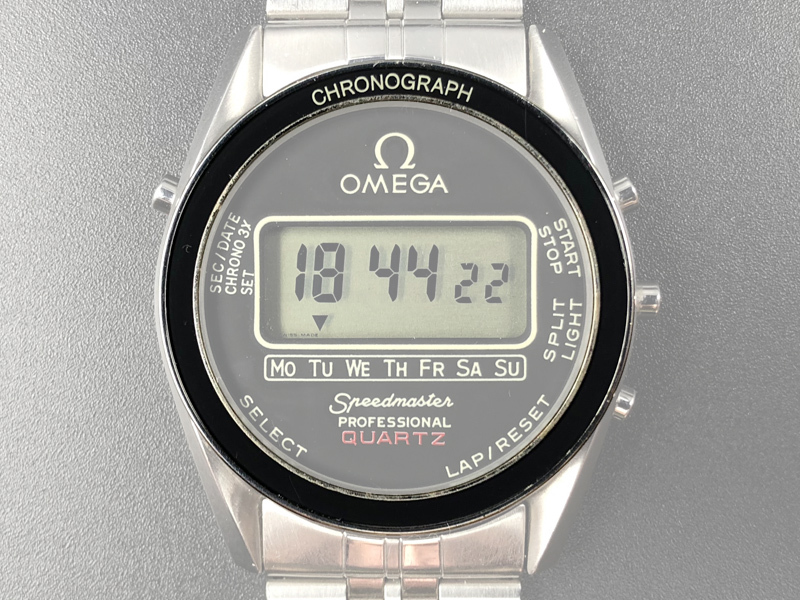 In 1952, responding inventively to the demands of constantly improving sports performance, Omega pioneered the development of electronically assisted sports timekeeping. 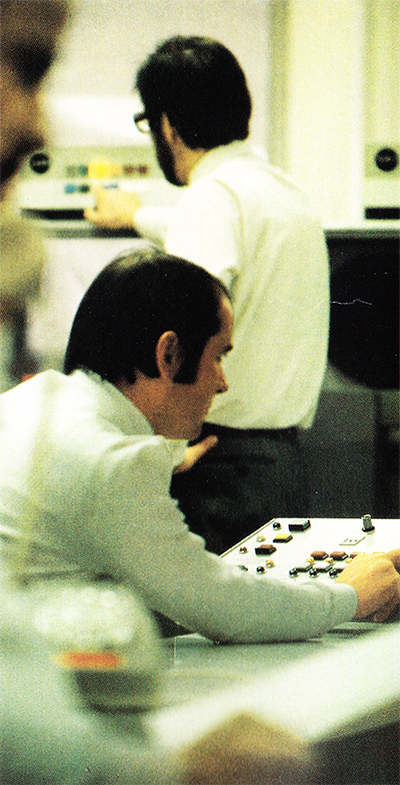 Behind the scenes at the Olympic games, a squad of electronics engineers supervised the complex and extremely refined timekeeping equipment. 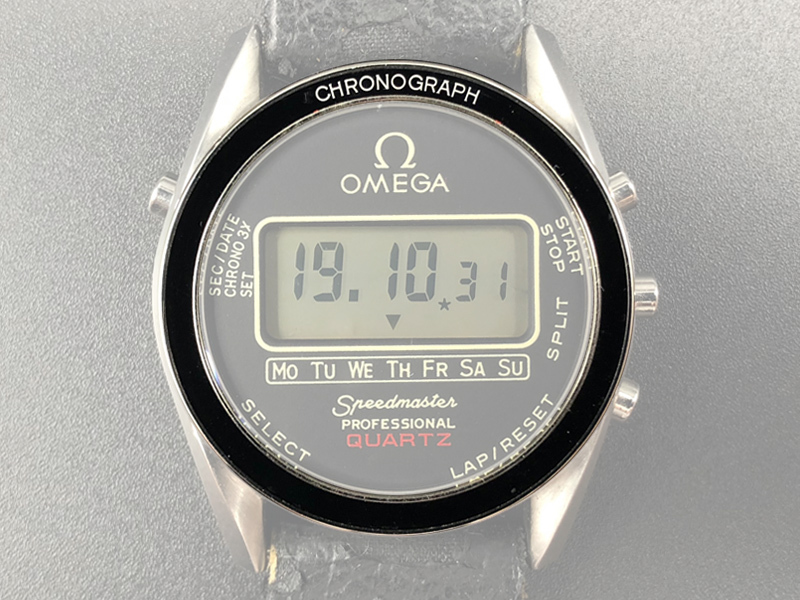 Tailored to individual Olympic disciplines, the equipment was designed to display both the intermediate and final times directly to television screens across across the world to 1/100th of a second; the degree of precision prescribed by the organizing committee for the Games. 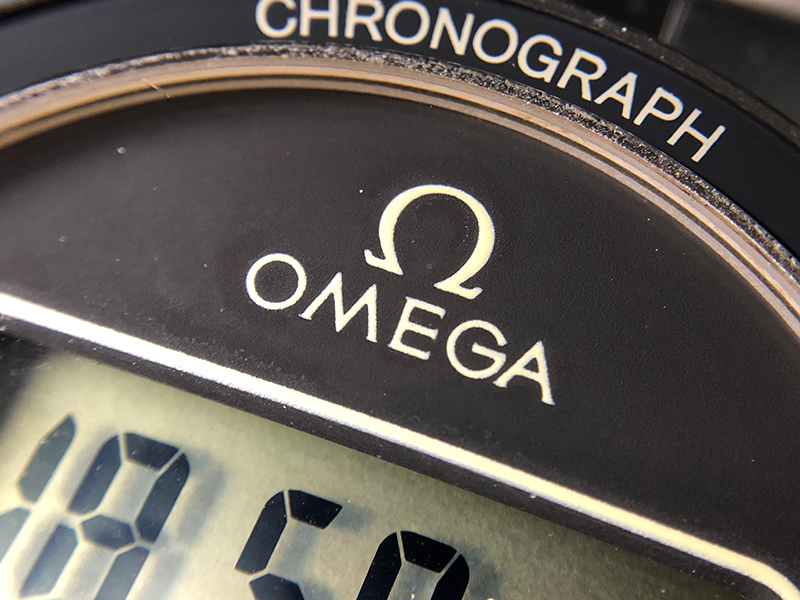 Omega technicians themselves are monitored performances to 1/1000th of a second! 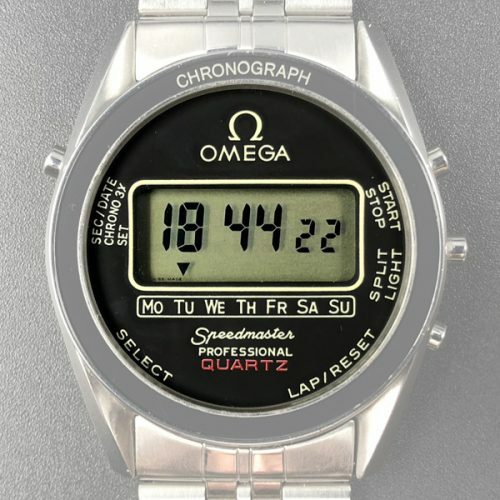 Everyone appreciated the spectacular mastery of quartz electronic precision during the Olympic games. 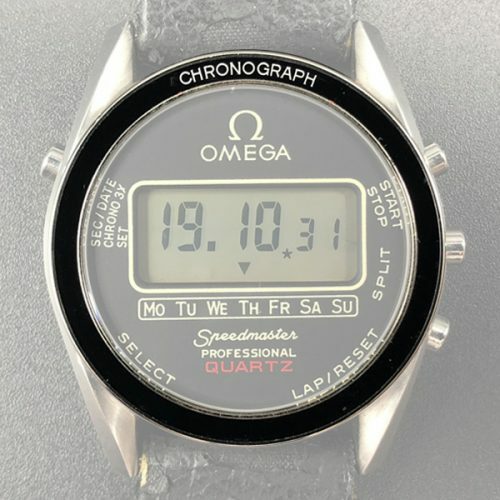 It stands to reason that a similar commitment to this sophisticated technology came about in the form of a personal, wrist-worn, quartz-piloted instrument: the Omega digital watch. 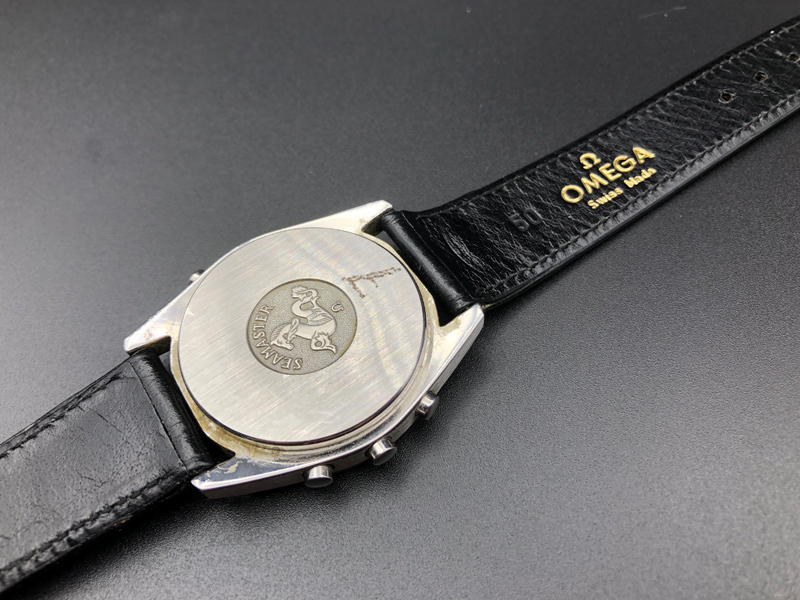 In 1974, Omega released a series of Speedmasters signed ‘Speedsonic’ (not Speedmaster) and being significantly water resistant they came with Seamaster-signed case backs. 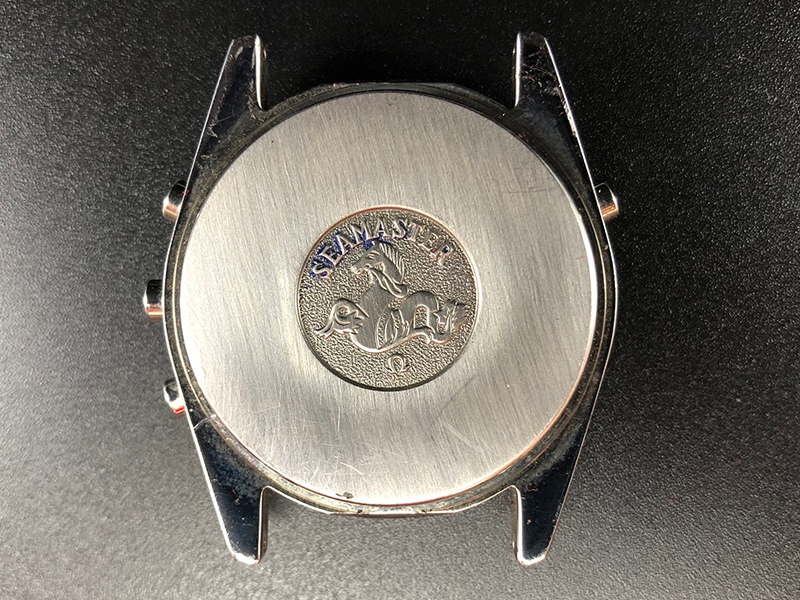 The came with the calibre 1255, essentially the ESA 9162/9164 with a chronograph module added, and were designed by Max Hetzel who had previously worked for Bulova. 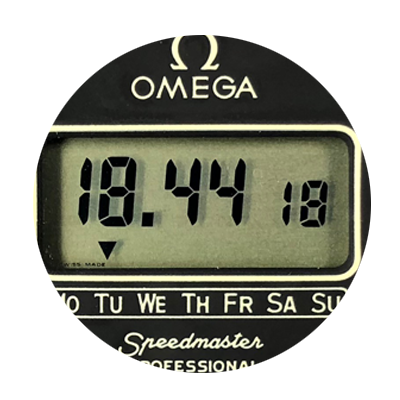 The Speedsonic is one of the few watches in the Speedmaster family to be certified as a Chronometer. 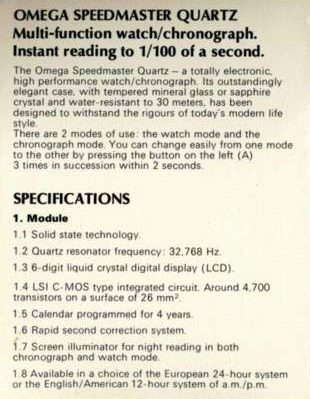 The quartz models, released a few years after the introduction of the Speedsonic, certainly could have qualified but were never submitted for testing. 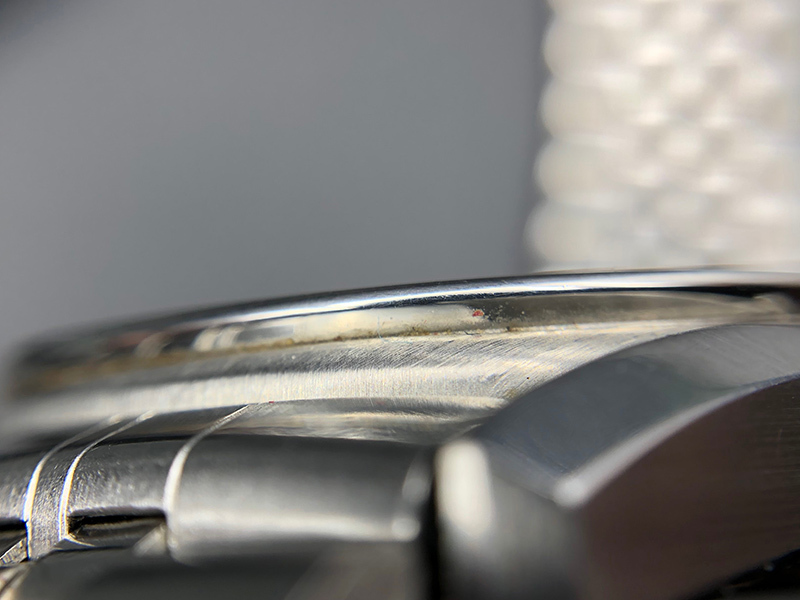 In 1977 watches with the 1620 quartz calibre began to appear with the ref. 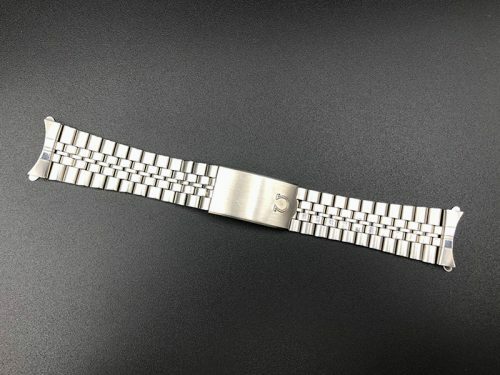 ST 186.0004. 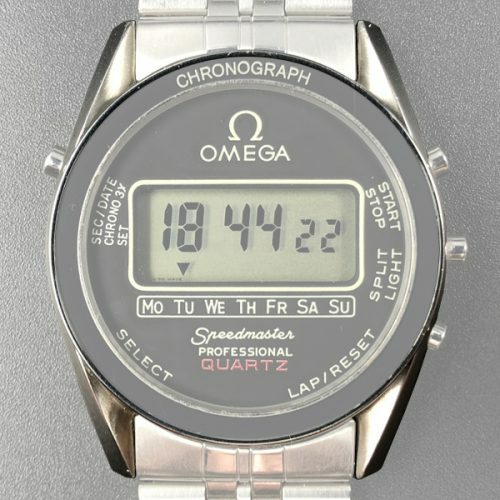 These watches had a digital LCD display and were accurate to 5 seconds per month. 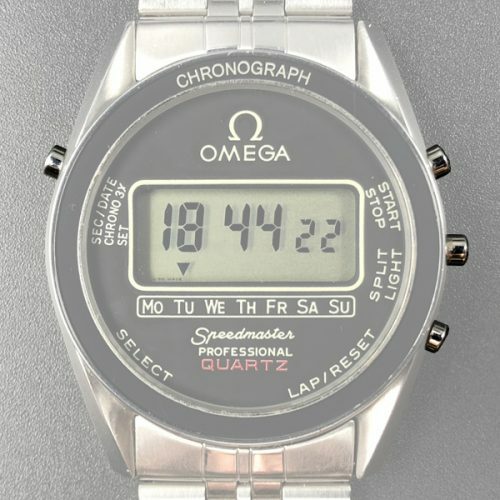 They had the typical 1970s quartz digital watch look you’d expect of the period. 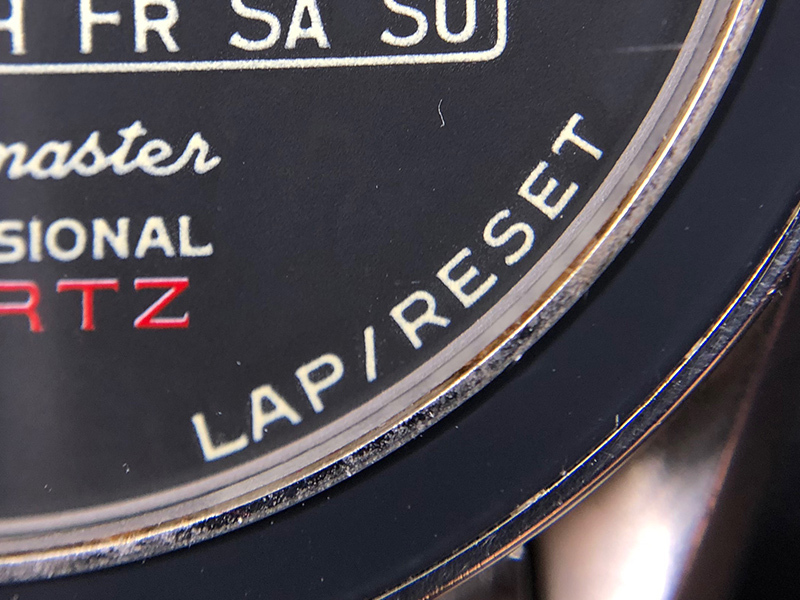 Some versions were signed Speedmaster Professional Quartz (nicknamed the Pro Quartz), others simply Speedmaster Quartz. 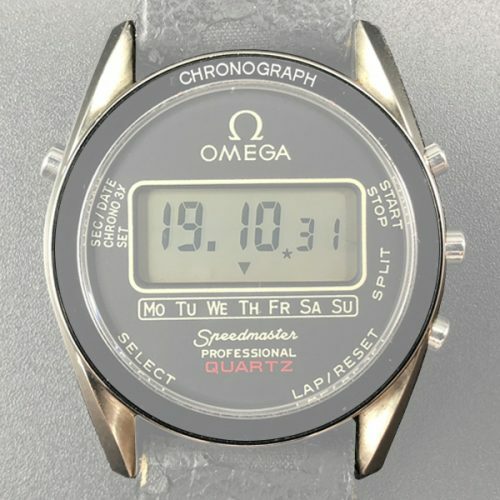 Omega produced eight variations of these watches in total, with differences in the shape of the case, gold plating and bracelet vs. strap. 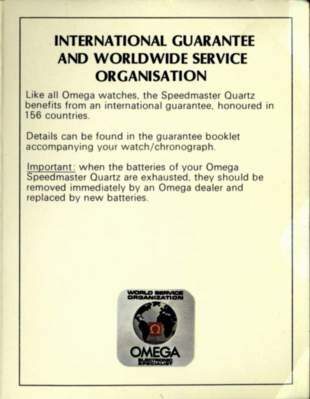 Interestingly, Omega stopped producing the Speedmaster Quartz watches after only about 18 months. 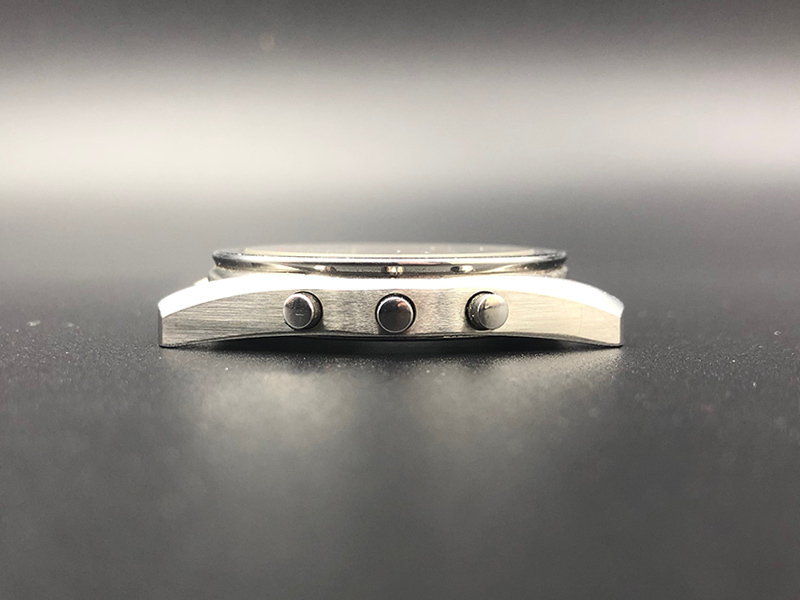 The cal. 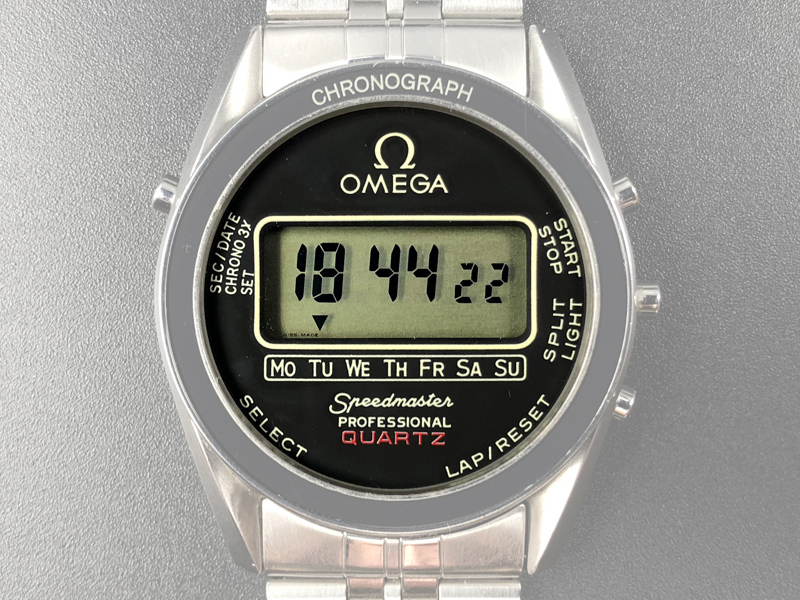 1620, developed by Omega and SSIH (later to become SMH). 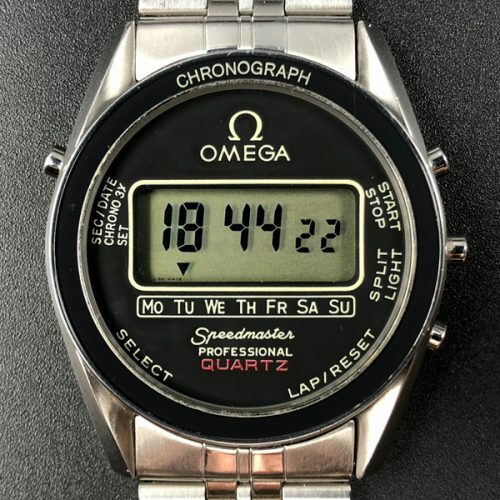 Although it has only basic functions by today’s standards, it is neverthless still a very accurate watch, capable of 0.15 seconds per day, or 5 seconds per month. 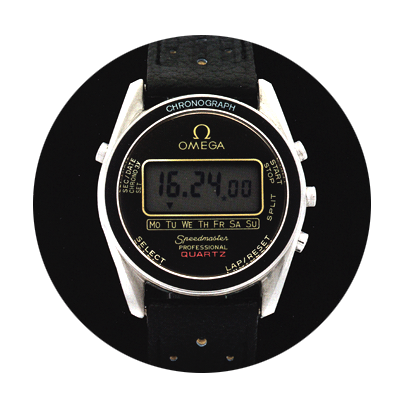 This is better than a lot of quartz watches available even now. 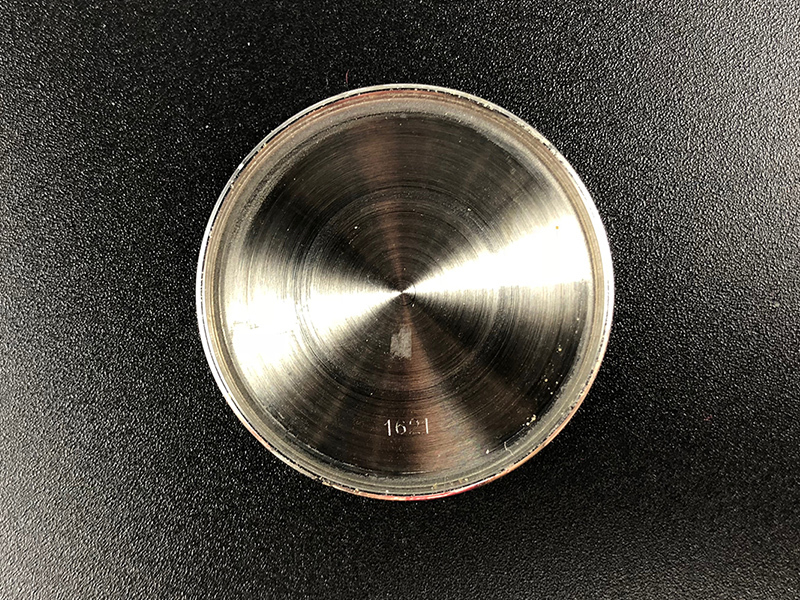 The very good accuracy is due to the high quality quartz resonator used, manufactured in-house by SSIH. 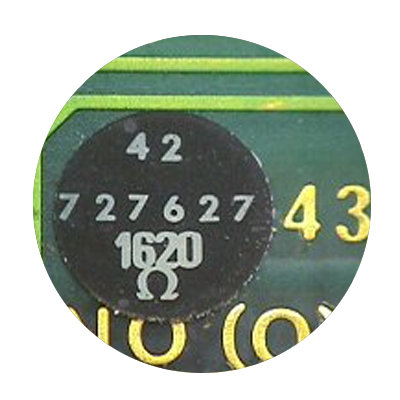 Frequency of resonator – 32,768 hertz. High precision unit manufactured by SSIH. 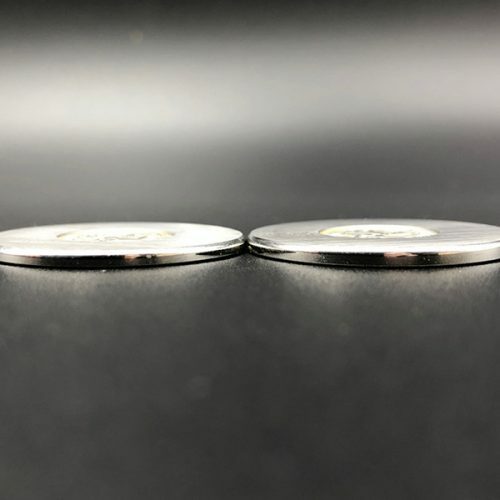 Thermal coefficient – +/- 0.15 sec/day for a variation of +/- 5 deg C.
Running time – 20-25 months, depending on useage of light. 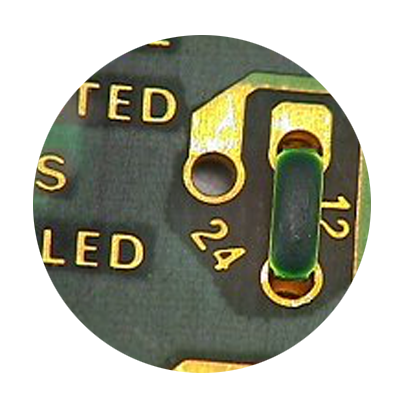 The display and lamp are powered from separate cells. 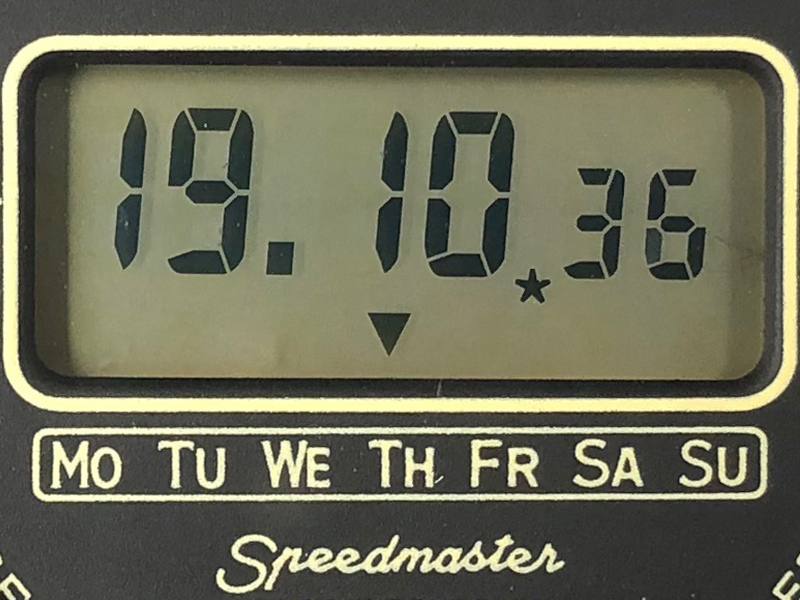 Time – Hours (12 or 24), Minutes and Seconds, and by a down-arrow Day of week. 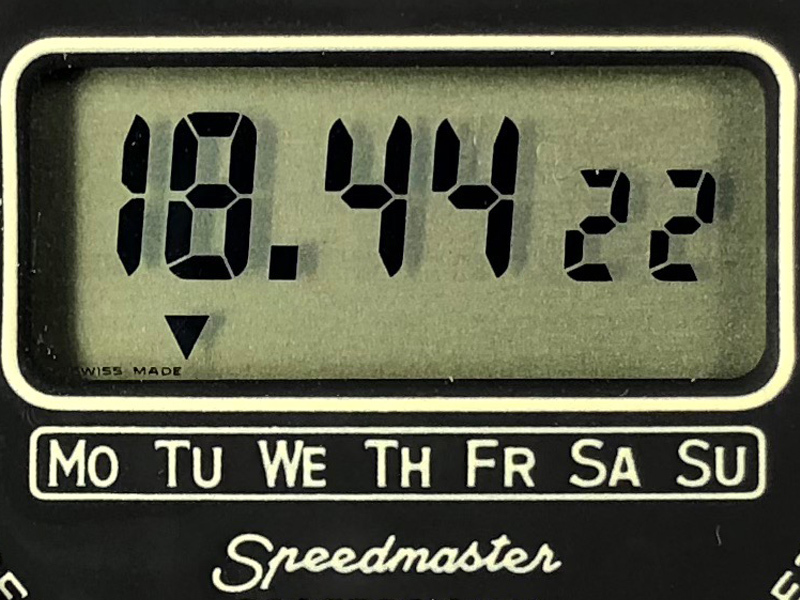 Time – Hours (12 or 24), Minutes and Date, as well as Day of week by the down arrow. 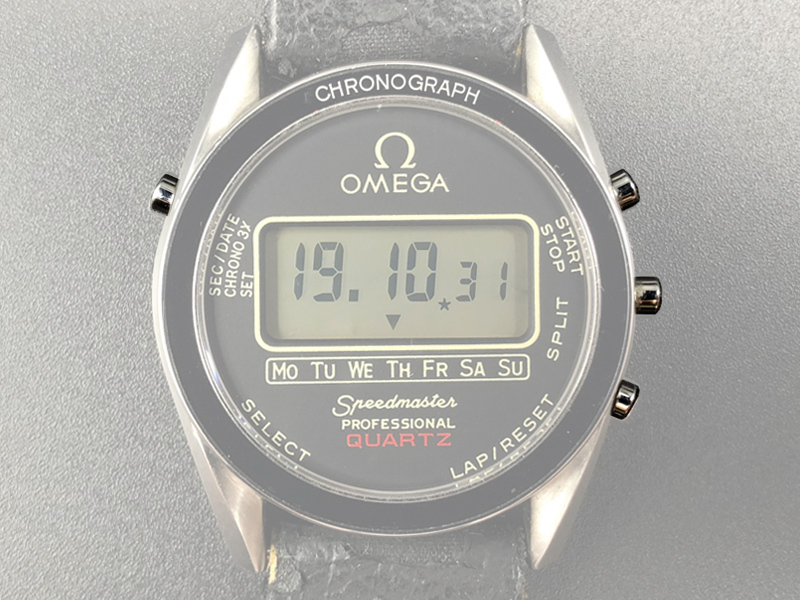 1/100 second Chronograph, able to accumulate up to 23 hours 59 minutes and 59.99 seconds. 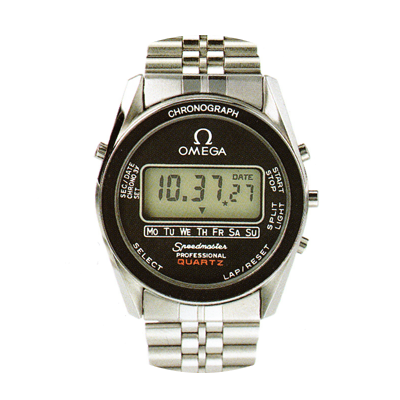 Light source for illuminating the display at night, powered by a separate battery. 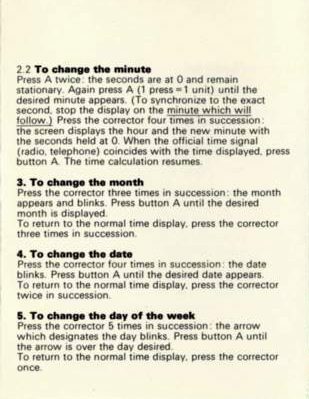 Calendar programmed for leap years. 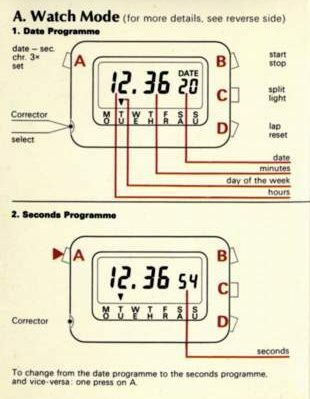 Time Mode 1 : Time with seconds, and day indicated by arrow. 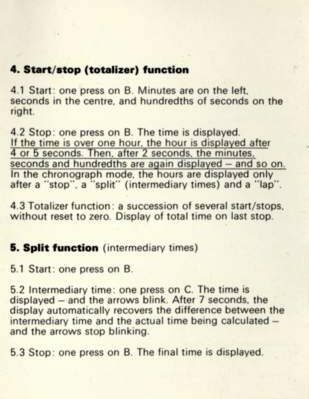 Display can quickly switched between Mode 1 and 2 (below) by 1 press of the top left pusher. 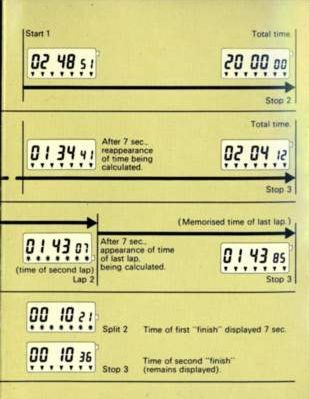 Time Mode 2 : Time with no seconds, and day /date displayed. 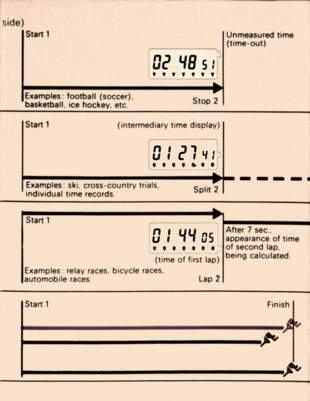 1/100th second Chronograph : All down-arrows flash when in lap/split mode and the chronograph is still counting. 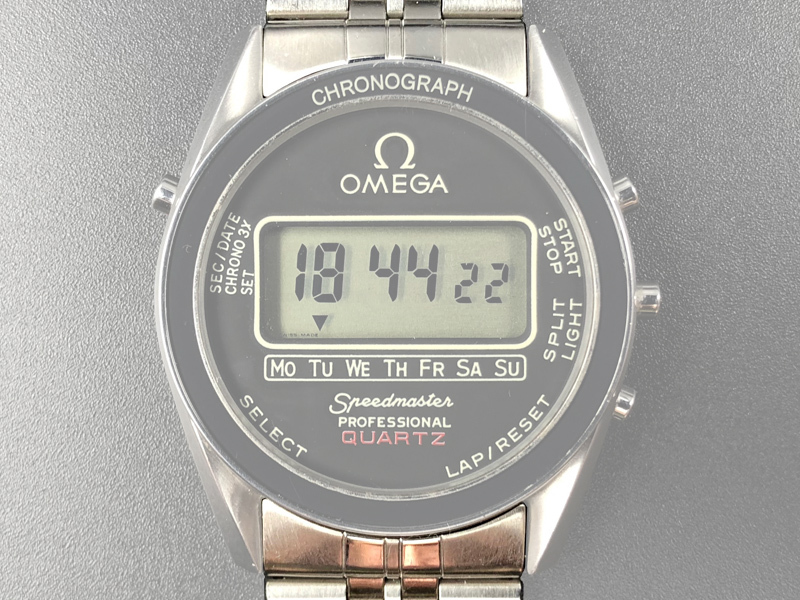 Normal time and seconds display. 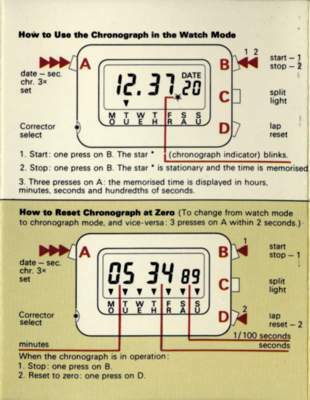 The star indicates the chronograph is activated. 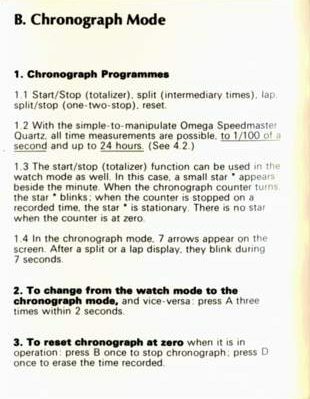 If the star is flashing, the chronograph function is still counting seconds. 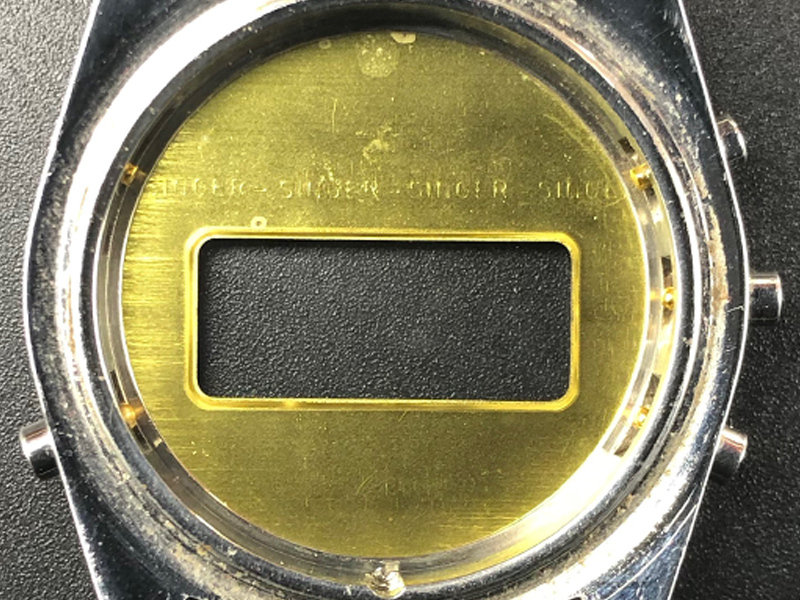 The Integrated Circuit and Liquid Crystal Display (LCD) used in the electronic module were manufactured by EM Microelectronic-Marin SA, a subsidiary company of Esa (Ebauches SA), or as we now know them, Eta. 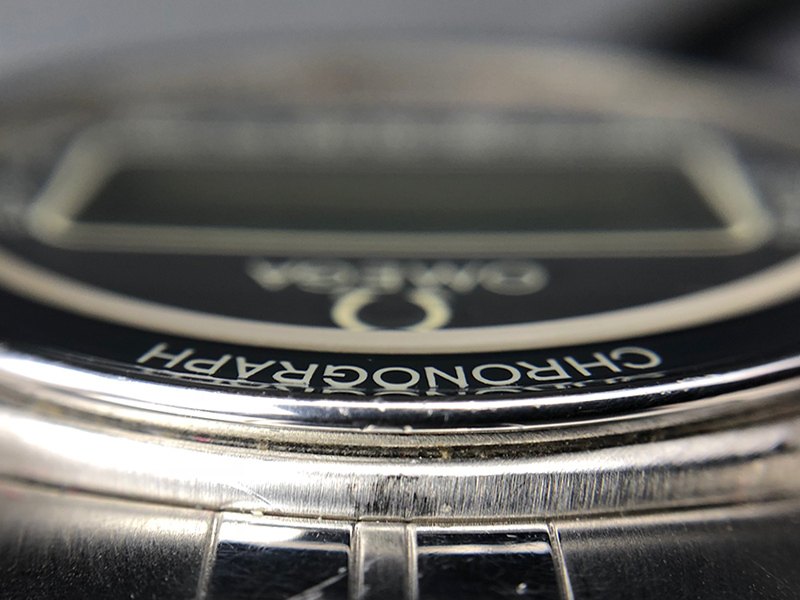 The liquid crystal display is still as good as the day it was made, while many contemporary Japanese ones have by now faded to being almost unreadable. 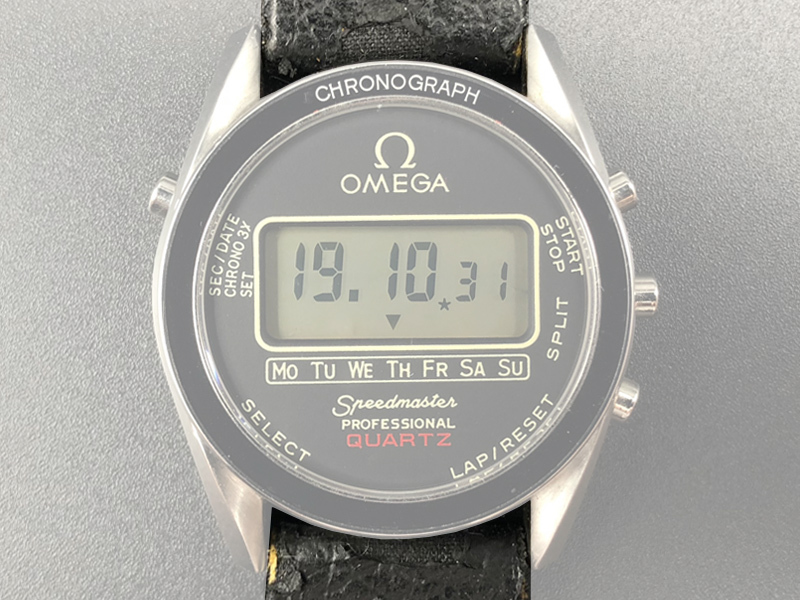 Also interesting to be mentioned, the later LCD’s have a wording SWISS MADE engraved in the bottom-left corner, however the earlier screens don’t. 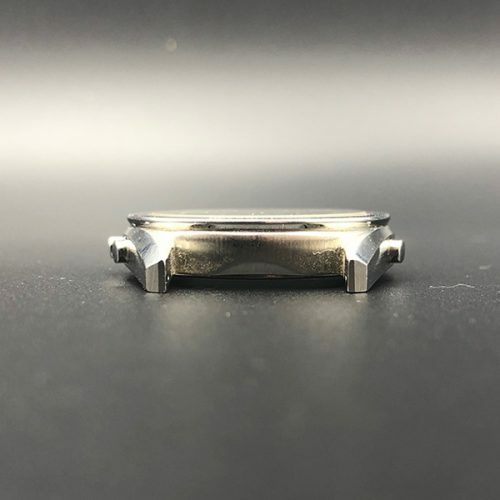 Changing the watch from 12 hour to 24 hour time is effected by moving a small jumper inside the back of the watch. 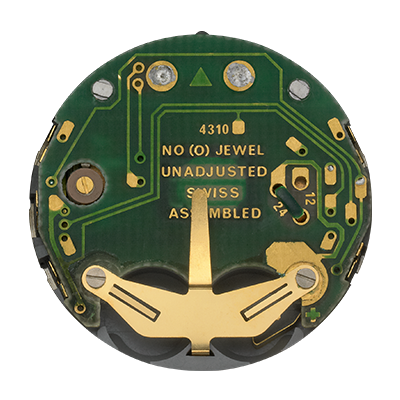 The watch calibre and serial number consists of a small (3mm did) sticker bonded (in other words, glued!) 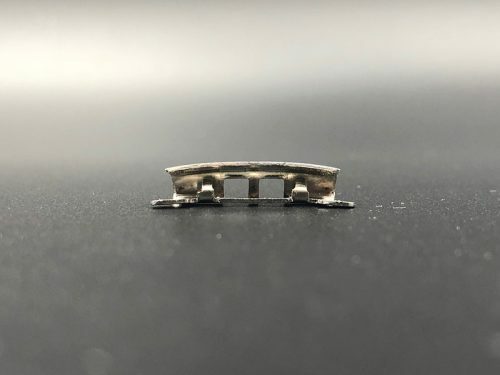 to the circuit board. 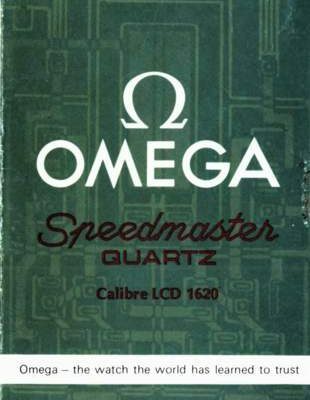 Speedmaster Quartz – expert applications of leading-edge technology to quartz electronic instrumentation. 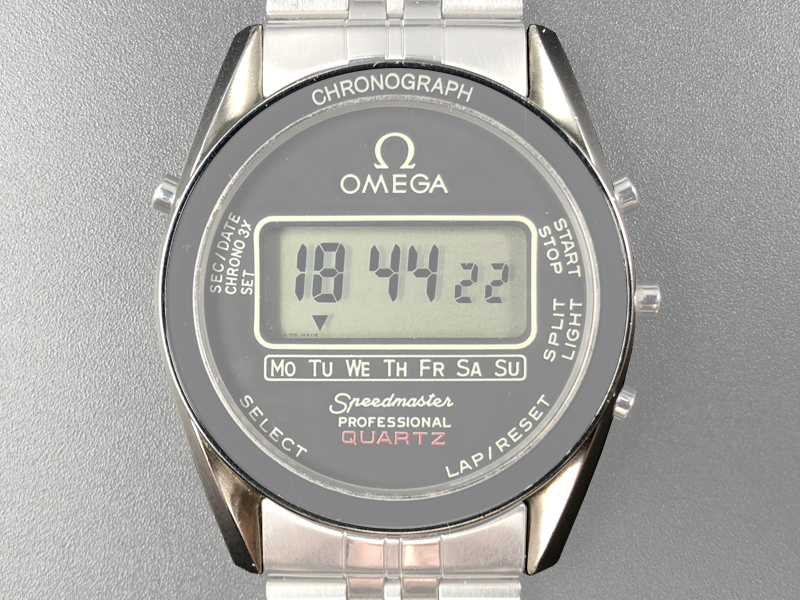 From Omega, a companion piece to the active life of today. 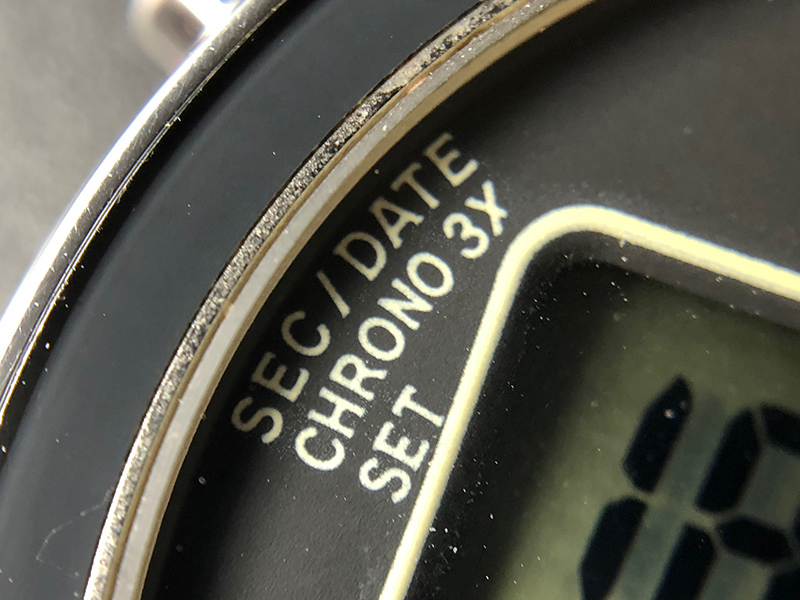 A multi-function chronograph watch with 24-hour timing capacity, accuracy to one hundredth of a second, split and lap time functions – you’re obviously looking at a truly functional personal instrument. 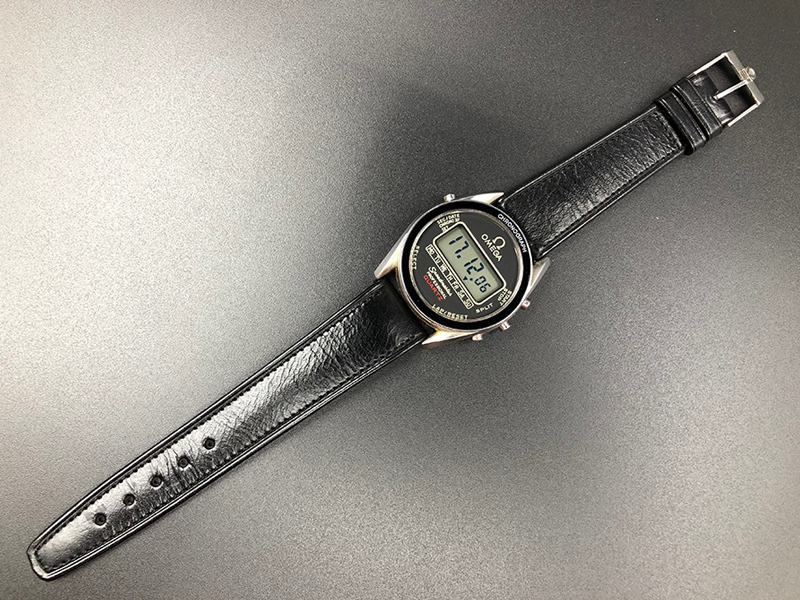 Ideal companion for many people who, at work or at play, need reliable stopwatch functions and practical advantages which only solid-state technology (i.e. no moving parts) can offer. 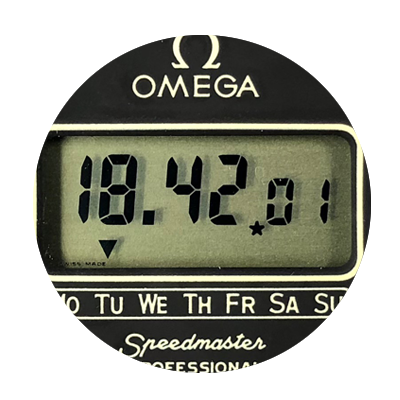 ST 186.0004 is a multi-function LCD chronograph featuring hours, minutes, seconds, date, day of the week plus split, lap, totalizer and one-two-stop chronograph functions. 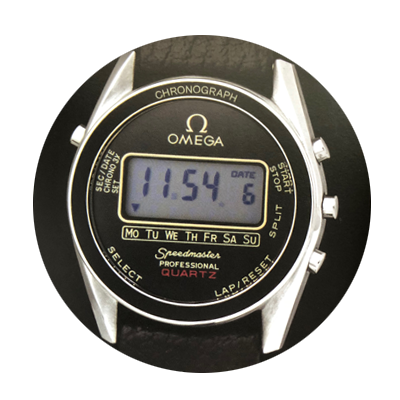 Suitable for all time measurements, to 1/100th second and up to 24 hours. 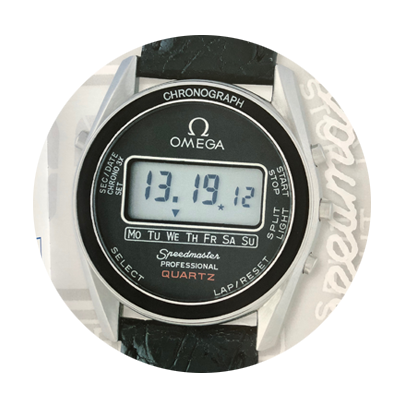 Equiped with a tempered mineral crystal, it is also water-resistant to 30 meters. 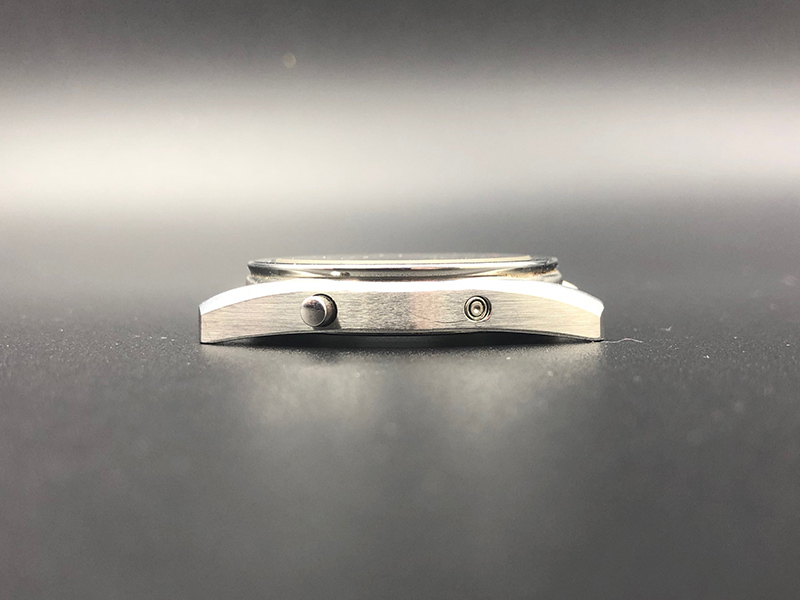 The dimensions of this watch are 33.5mm wide (36.5mm over the pushers), 39.5mm long and only 7.2mm thick. 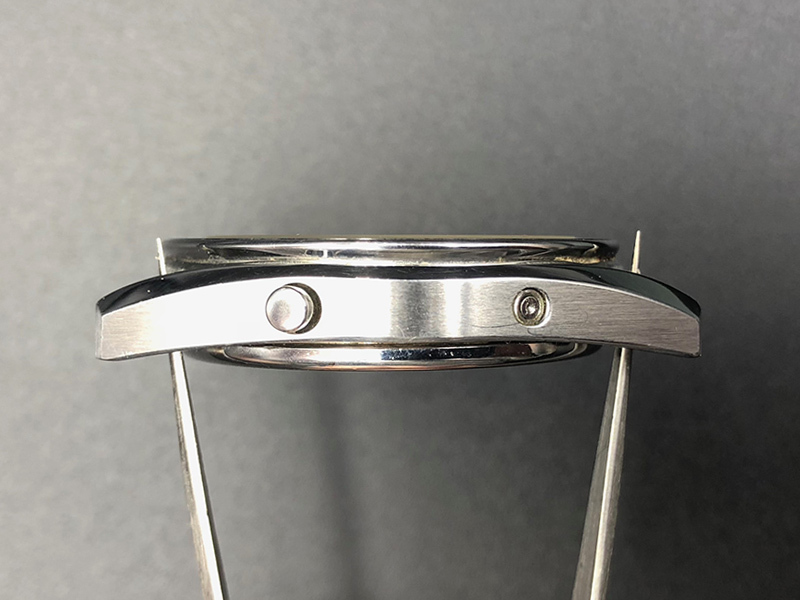 The bracelet is a folded link type, with deployant clasp, and is integrated into the case. 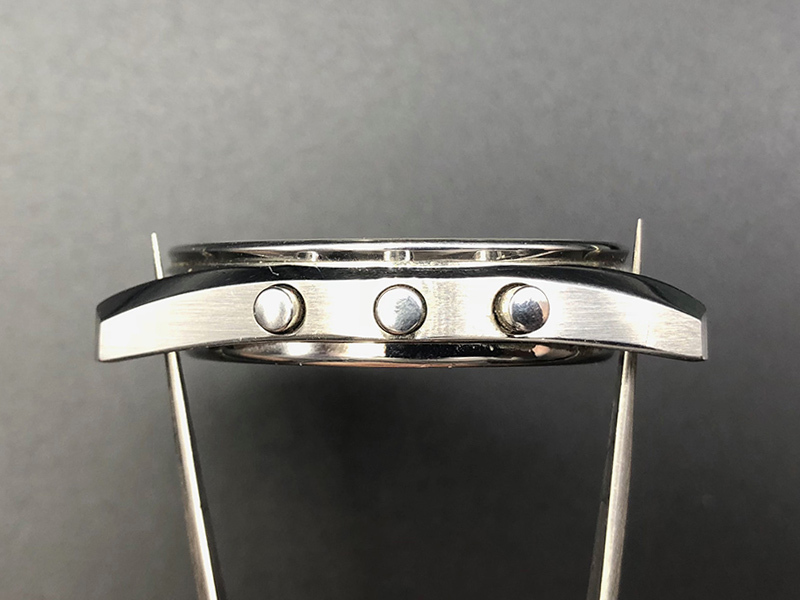 The watch weighs a total of 59 grams (2.0 oz) including the bracelet, and being so thin and light is all but unnoticeable during wear. 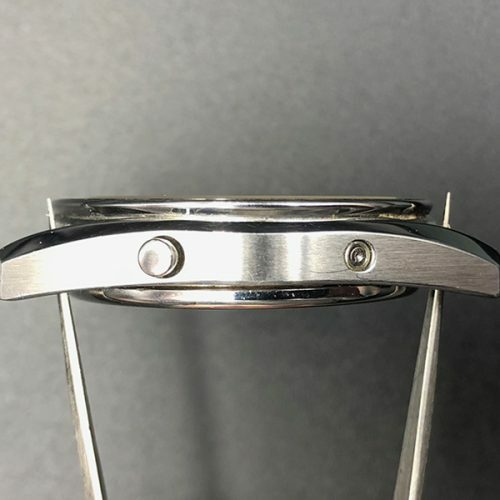 The bezel is made of a stainless steel ring with a mineral crystal insert and is most probably the most fragile part of the watch. 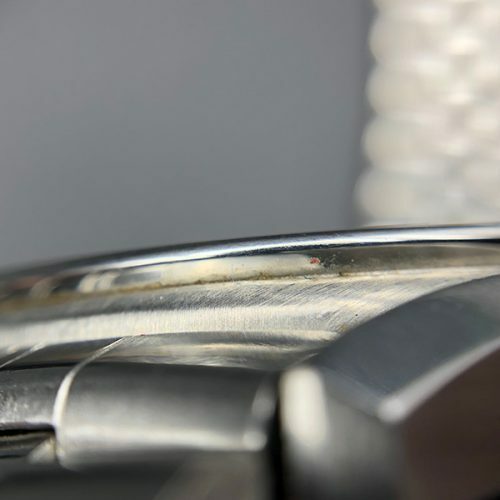 Directly exposed, it is frequent to see wear marks, scratches, dings or even cracks on the bezel even if the rest of the watch retains a great conservation condition. 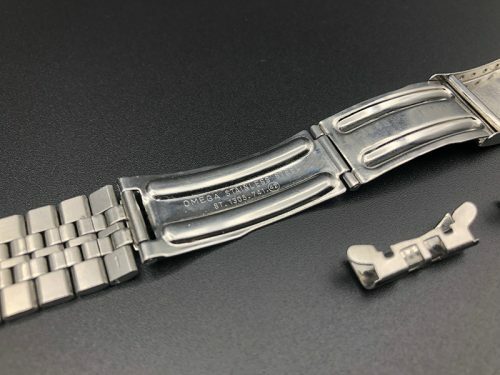 Spare parts are not available from Omega anymore, and a spare bezel is very hard (not to say impossible) to find nowadays. 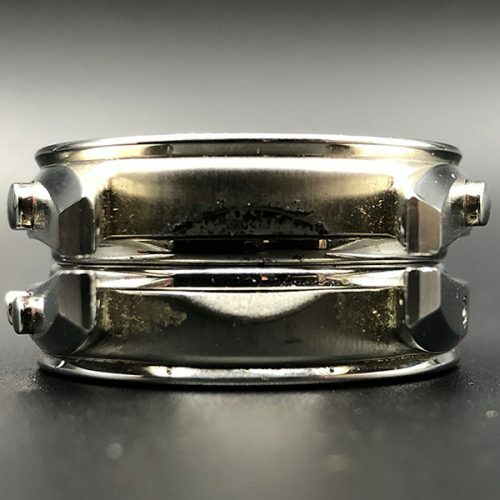 If you consider buying this watch with a damaged bezel, think twice, the chances to find a replacement bezel later on are very low. 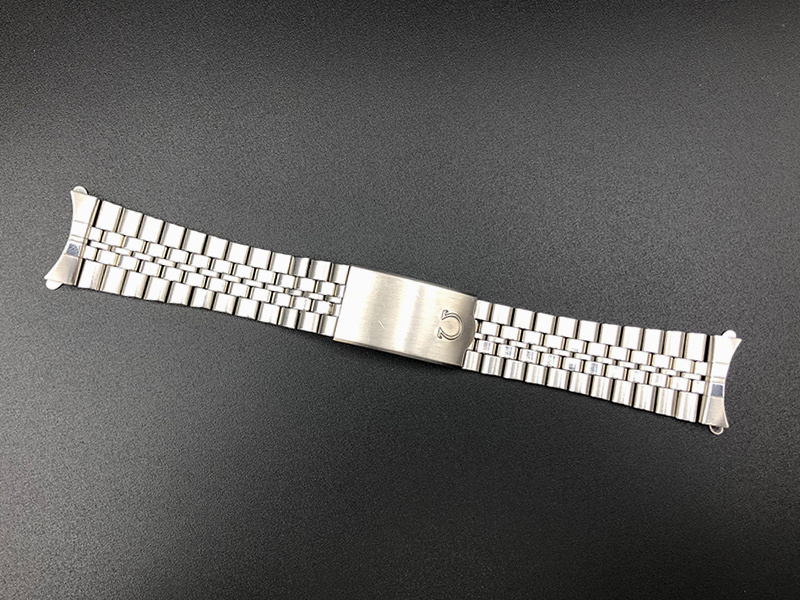 Also operations that require removing the bezel (i.e. 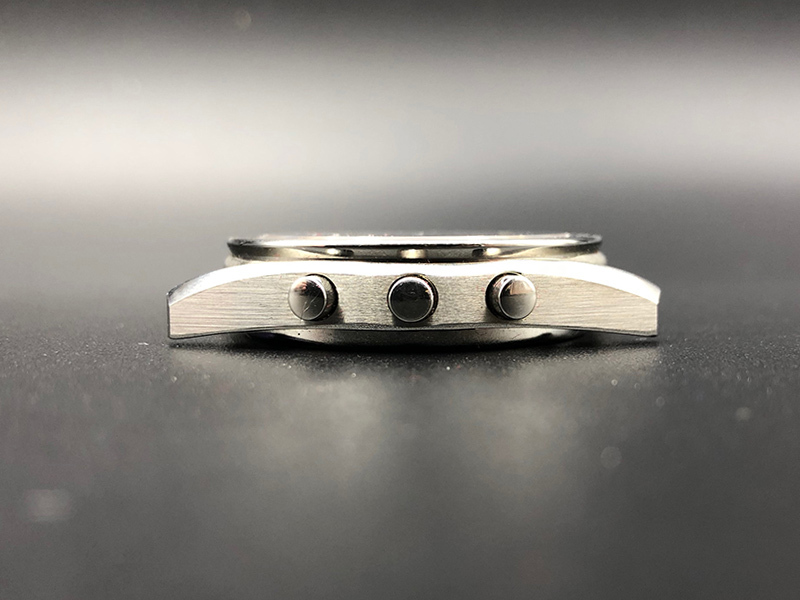 alignment/repositioning) are highly recommended to be executed by a qualified watchmaker with adequate tools and experience. 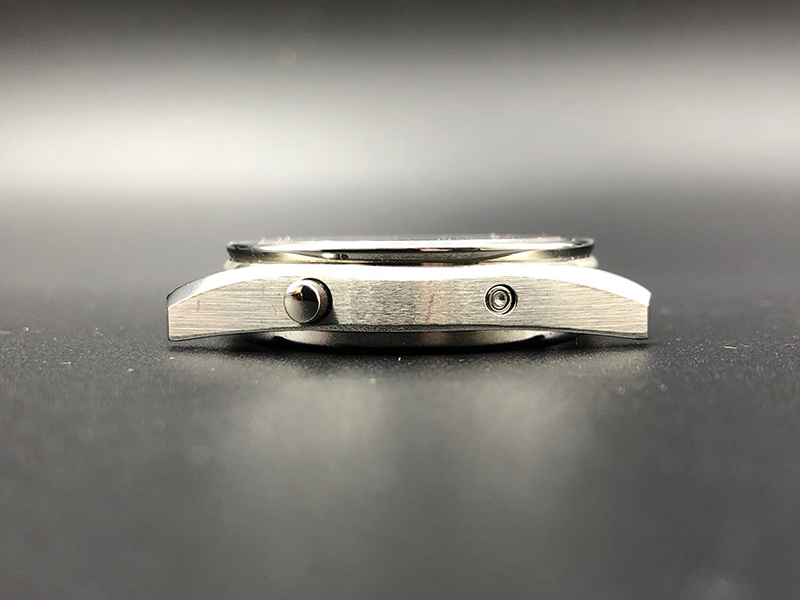 The diameter of the bezel is 35,20 mm. 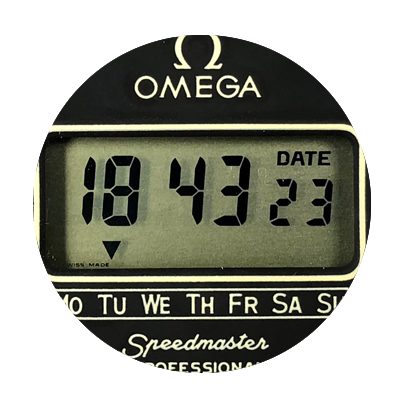 The wording PROFESSIONAL is present on this dial, it is the only digital Speedmaster Quartz ever designated Professional. 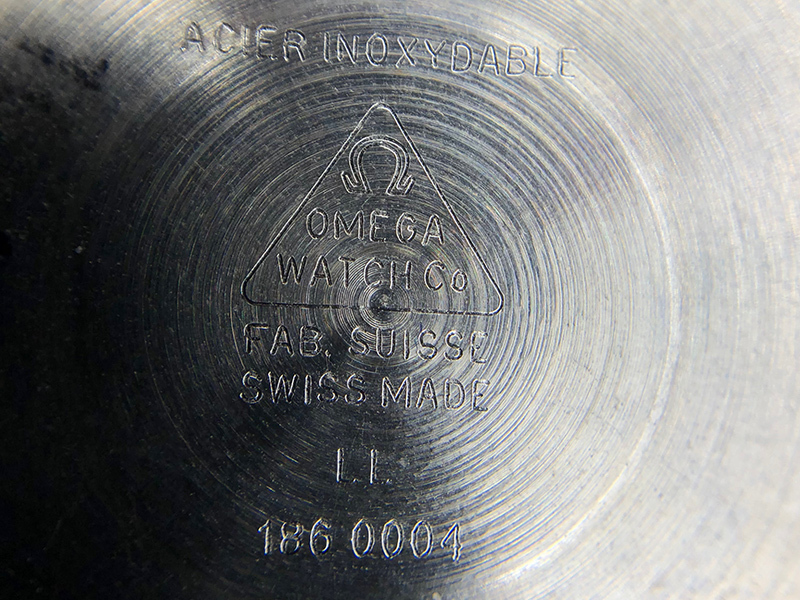 On the back side, the dial is signed by Singer, Omega’s subcontractor who was producing the dials. 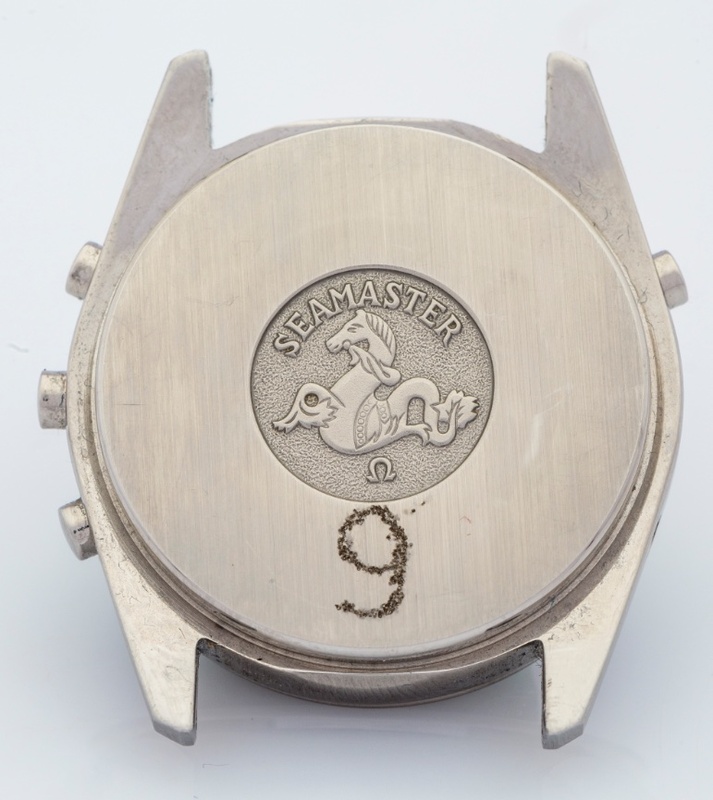 On the front side, the dial of the ST 186.0004 is signed at 12. 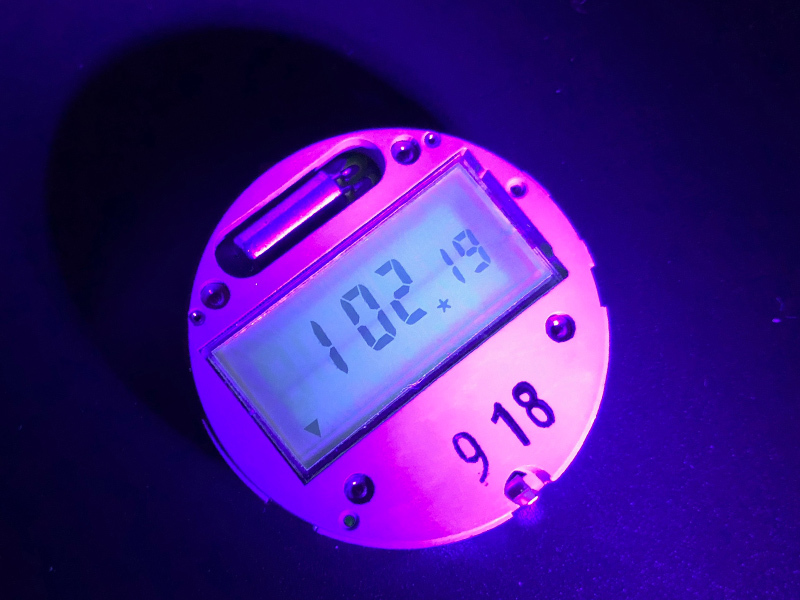 A week day track is located right under the LCD display. 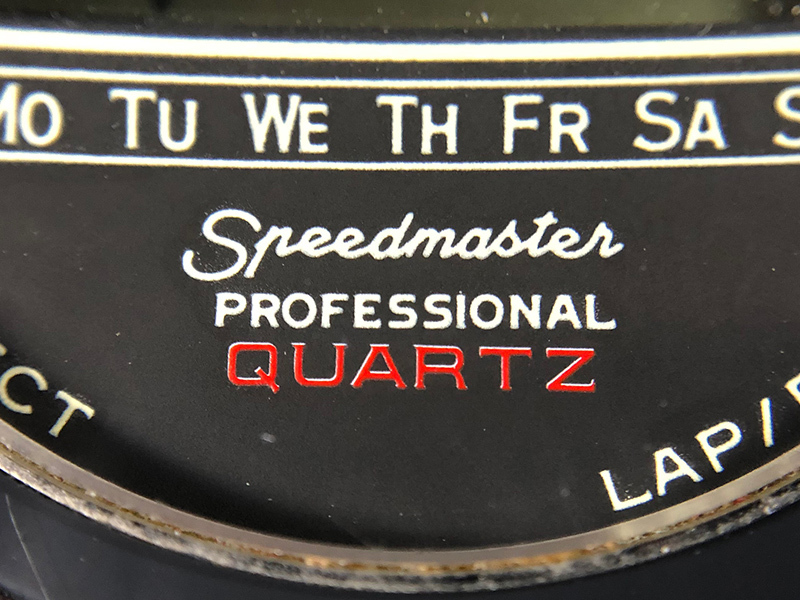 Under the week day track, at 6, the Speedmaster Quartz logo. 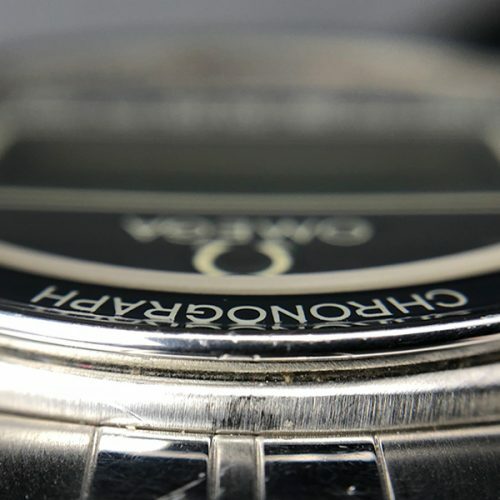 The functions of the pushers are described all around the dial : at 10, at 2, 3 and 4 as well as the corrector at 7. 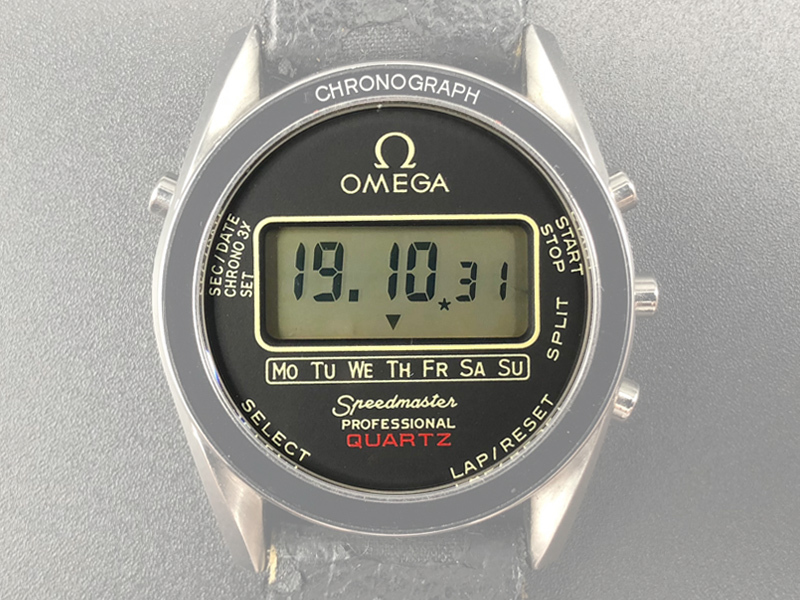 The Omega Speedmaster will forever be remembered as the first watch on the Moon, for that reason, the new high-tech model had obviously to have the famous Moonwatch-shaped case. 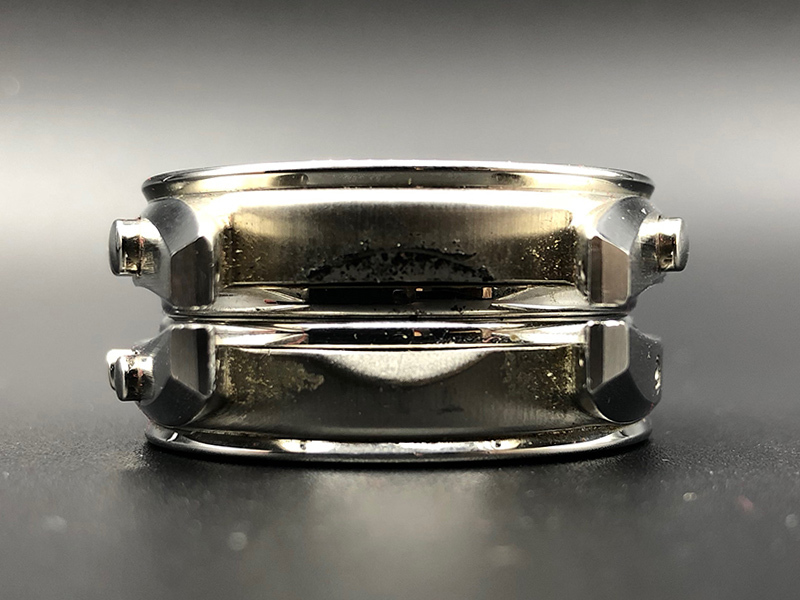 The case is 36,50 mm wide without pushers and 42,20 mm high from lug to lug. 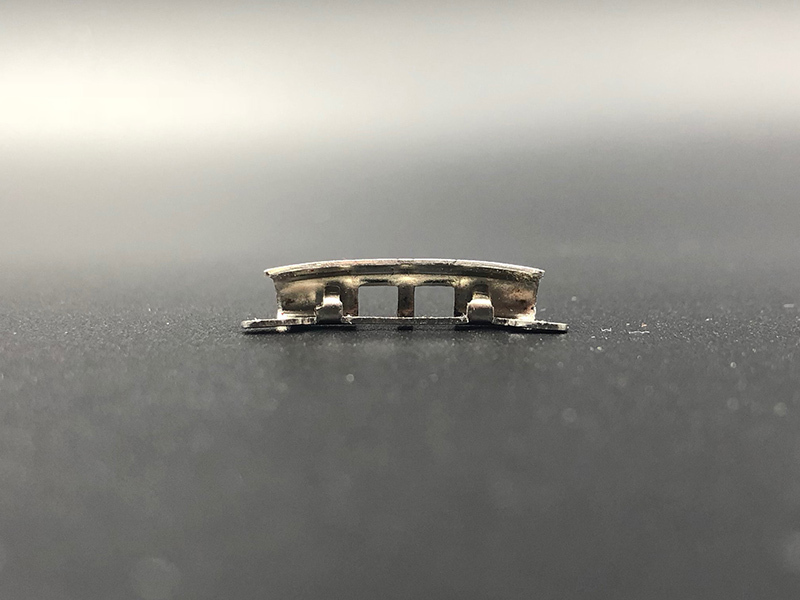 The space between the lugs is 20,00 mm. 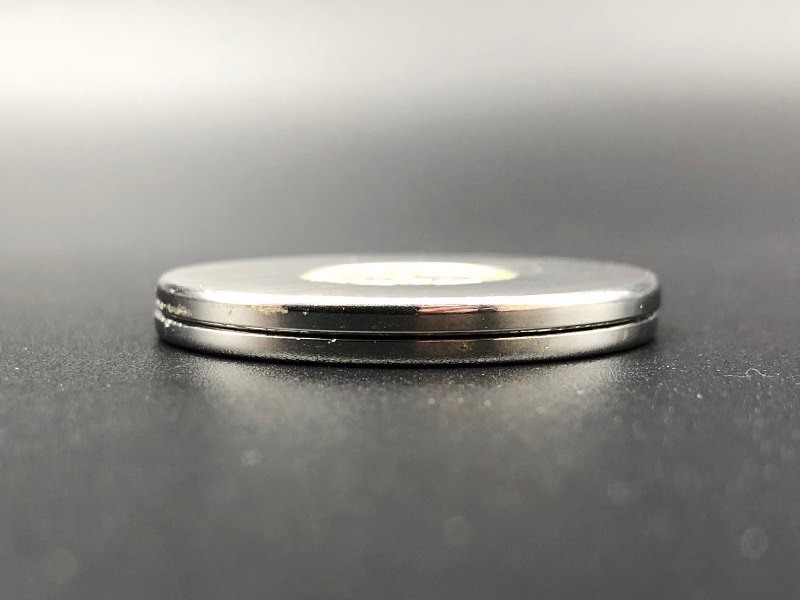 The diameter of the case back is 33,00 mm and it is 1,85 mm thick. 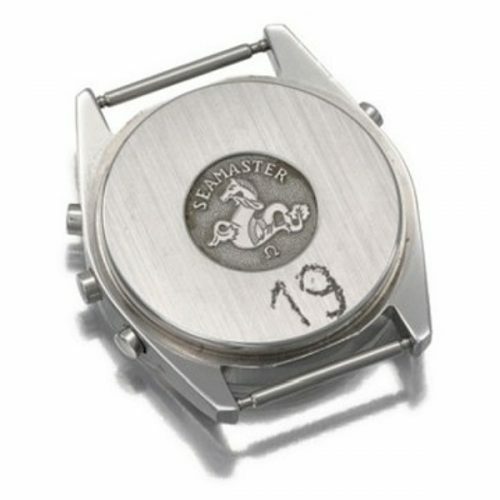 The case backs of the ST 186.0004 are made of stainless steel with a brushed satin finish. 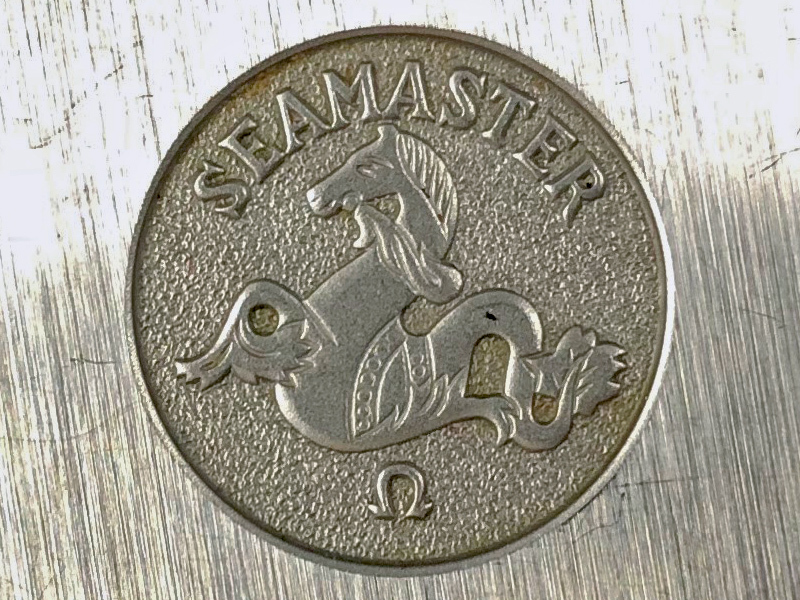 A badge with the word “Seamaster”, the Seahorse and the “Ω” Logo engraved in the middle. 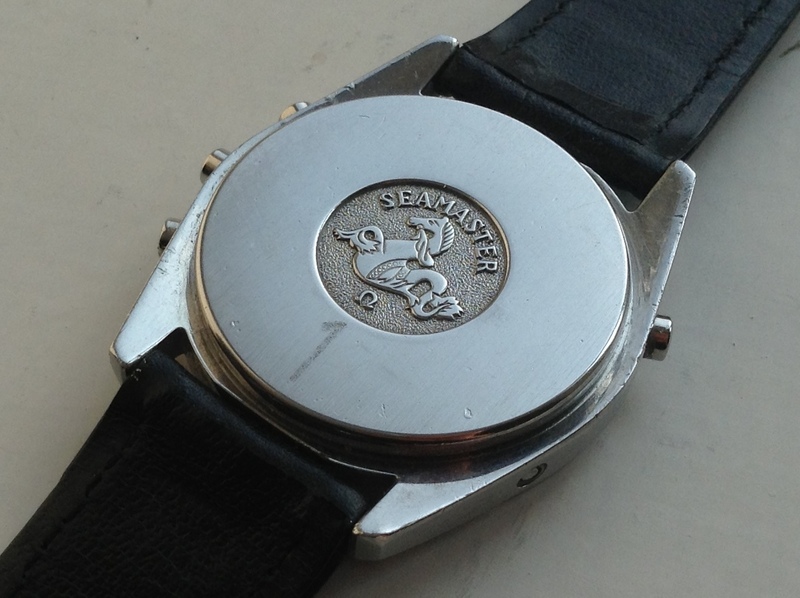 According to the current state of knowledge, the case backs were proudly labelled Seamaster and featured the Seahorse to remind that the Speedmasters were considered as part of the large Seamaster product family that time. 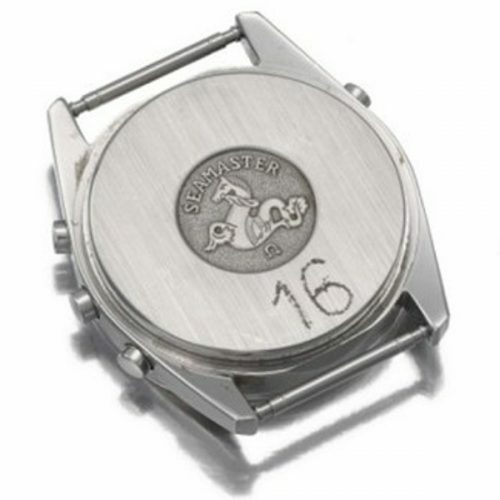 Inside the case backs are signed and engraved with the watch model number “186.0004”. As per today, not even the Omega Museum team knows what does “LL” engraving stand for. 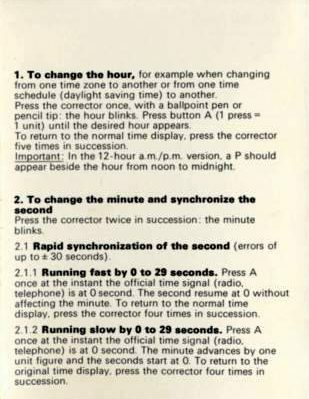 On the left side, the pusher located at 10 is used for settings and to switch from time to chrono mode. 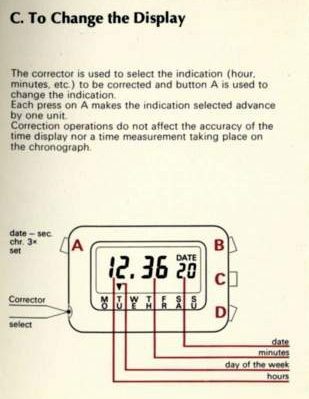 The corrector is located at 7. 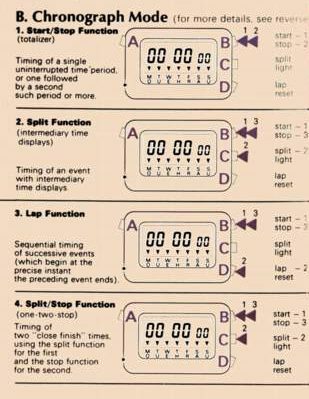 On the right side, the pushers located at 2, 3 and 4 are used for chrono functions and, when in time mode, the pusher at 3 switches on the LCD screen backlight. 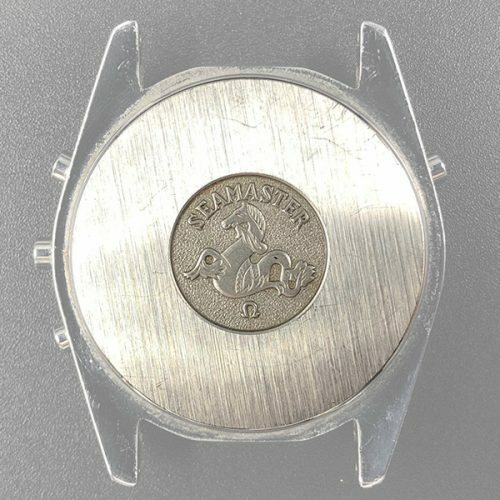 The diameter of the pushers is 3,00mm. 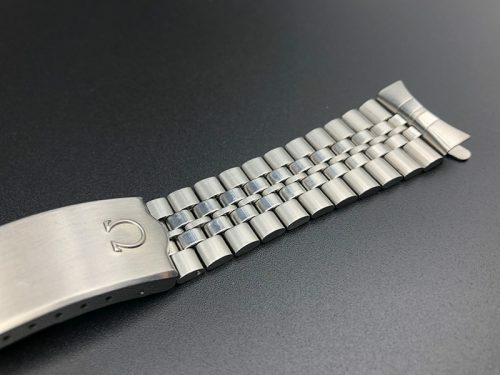 Omega supplied a brushed stainless steel bracelet #1305 with a signed stainless steel folding clasp. 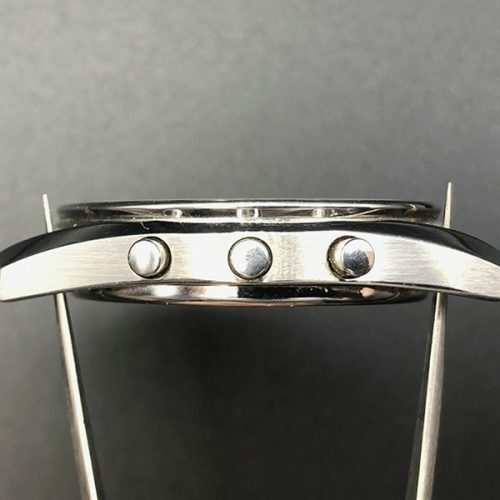 The correct end links for that bracelet are #741. 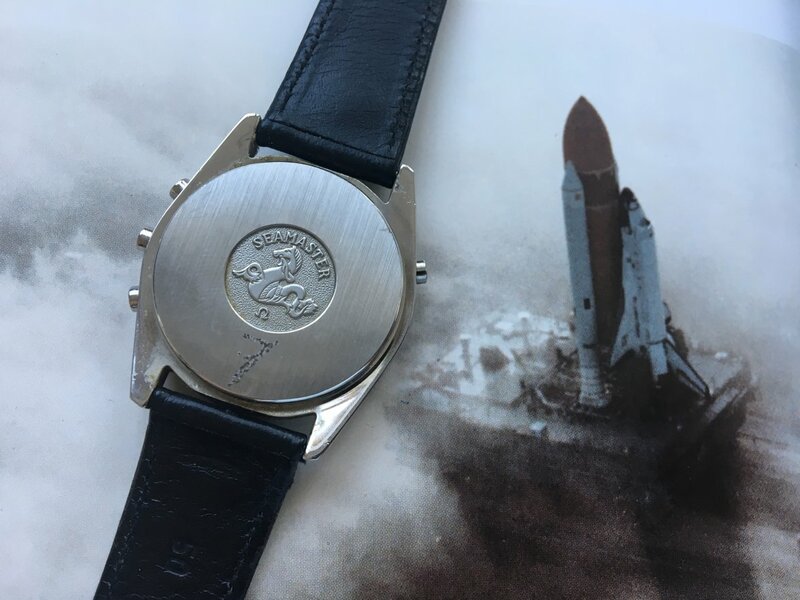 1978, NASA requests bids for a watch to be used on Space Shuttle flights. 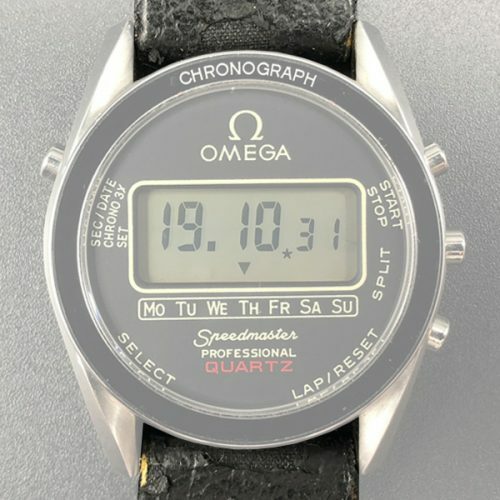 Omega’s place is up for grabs. 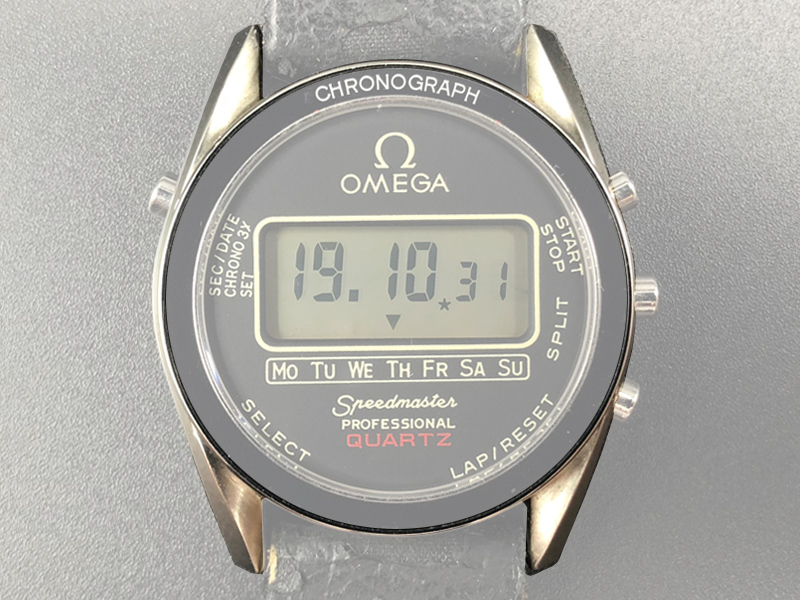 Within the Alaska series of Speedmaster presented to NASA, Omega creates a new prototype, the Alaska IV, based on the Speedmaster Professional Quartz reference ST 186.0004. The major difference is the calibre 1621 movement which uses a system called the BETA light that consists of two tritium tubes behind the LCD display to illuminate the display instead of the light bulbs which were considered as a risk factor in space. 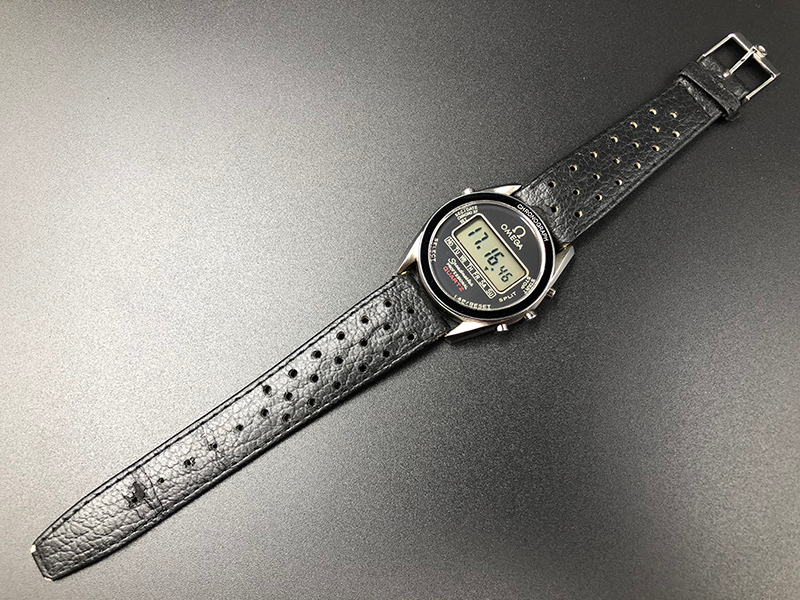 A total of 20 prototypes were produced and 12 examples were sent to NASA astronauts in 1979 who tested the watch in training and on the Space Shuttle. 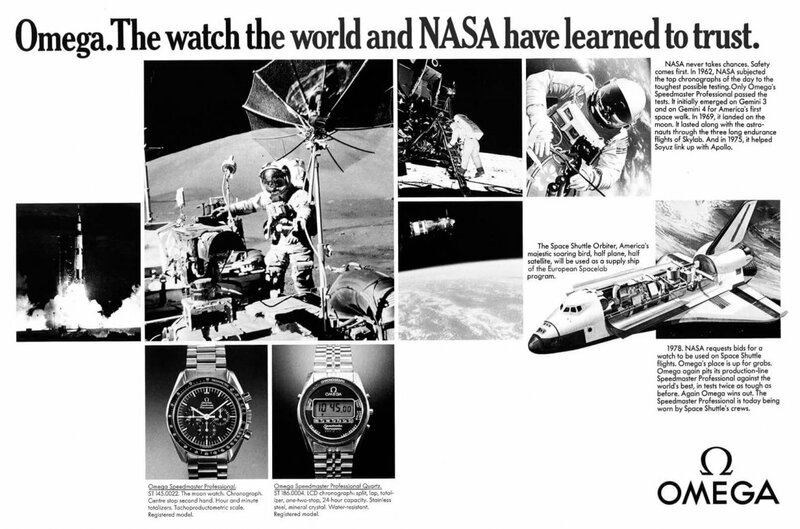 The Alaska IV was indeed used by NASA in training missions and indeed some examples were flown! Though at this time it is not known how many of them or which numbers were actually flown. 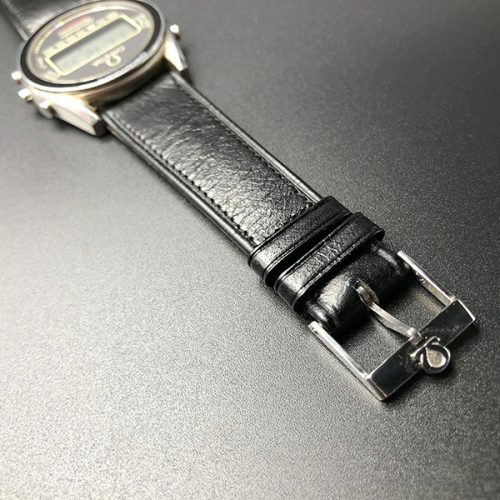 Ultimately, they chose not to adopt the watch. 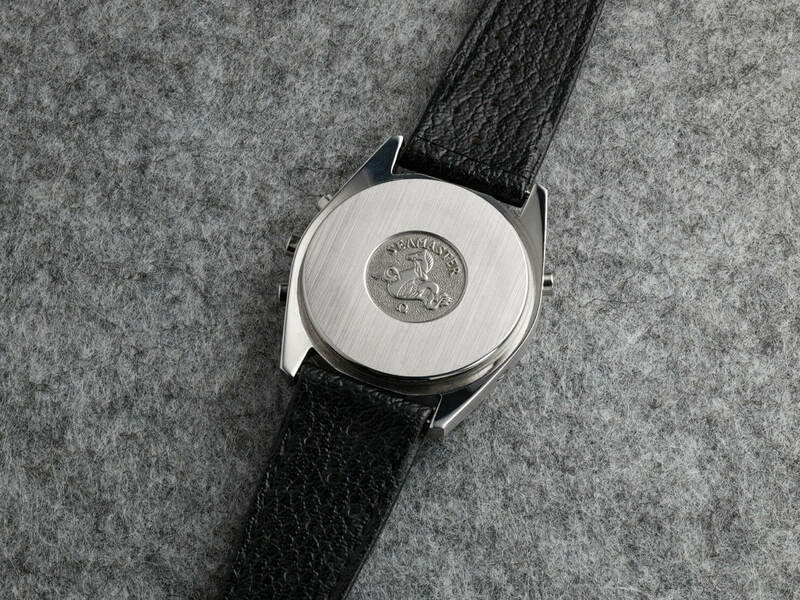 Apart from the Alaska III, most of the Alaska Project prototypes never made it to full production. 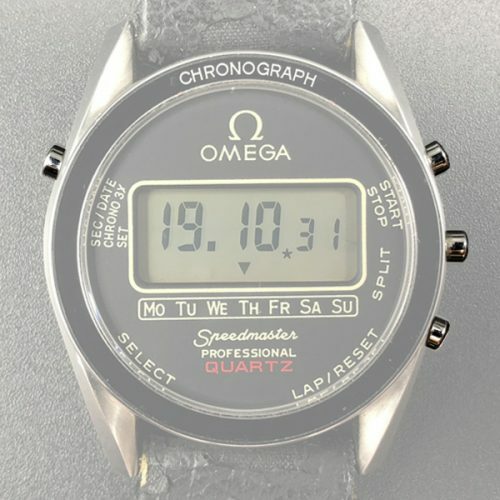 According to the Omega Museum, despite the astronauts willing modern and high tech tools (Quartz/LCD), the chances for this prototypes to be selected by the NASA were very low as everybody knew that Jim Ragan had a strong preference for mechanical watches (that he expressed already in the Alaska III / Speedsonic episode) simply because he wanted to exclude any uncontrolled risk in space. 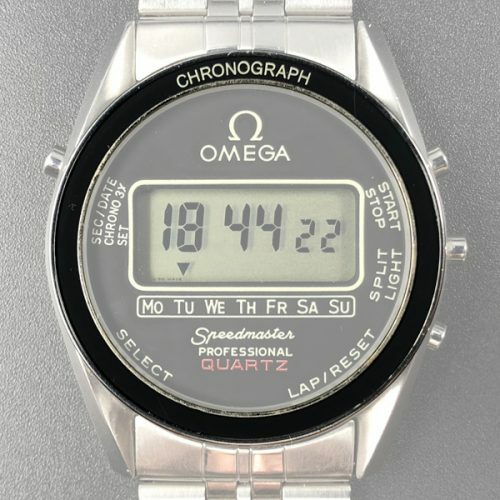 Still, their design ideas helped generate future Omega developments. 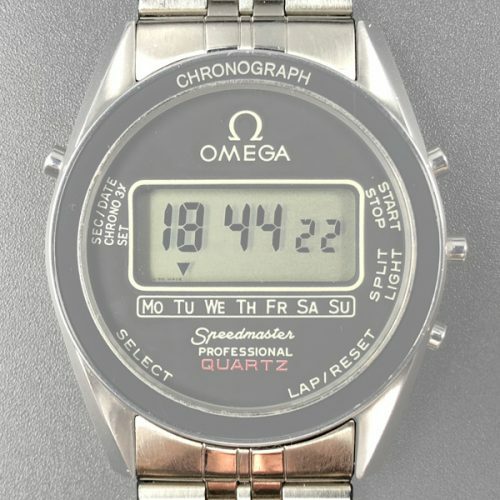 The research into this timepiece was useful later in the engineering of what became Speedmaster X-33. 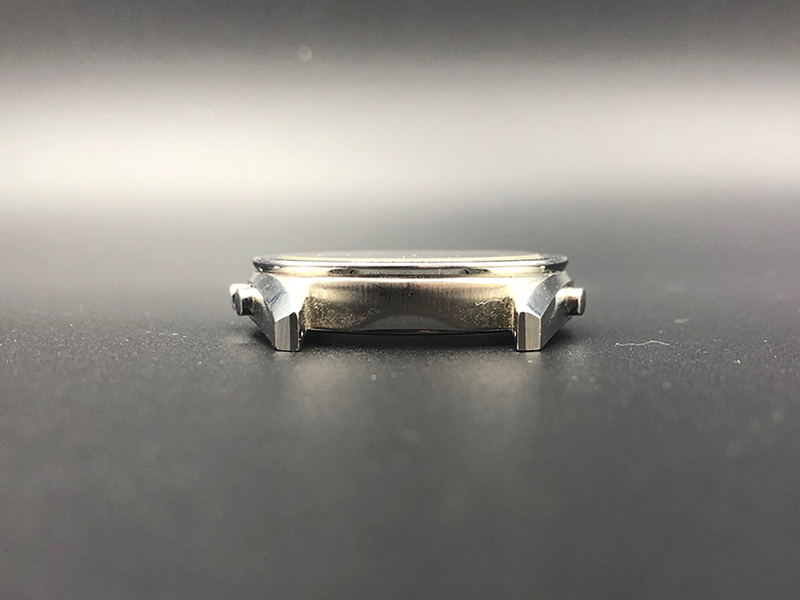 The bezel of the Alaska IV prototypes is exactly the same than the one from the regular model ST 186.0004 Omega Speedmaster Professional Quartz. 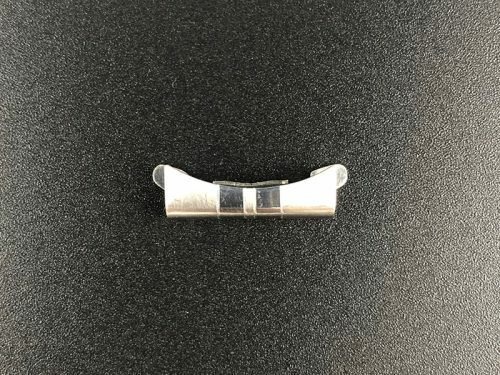 It has the same properties and weaknesses, hence the same recommendations apply. 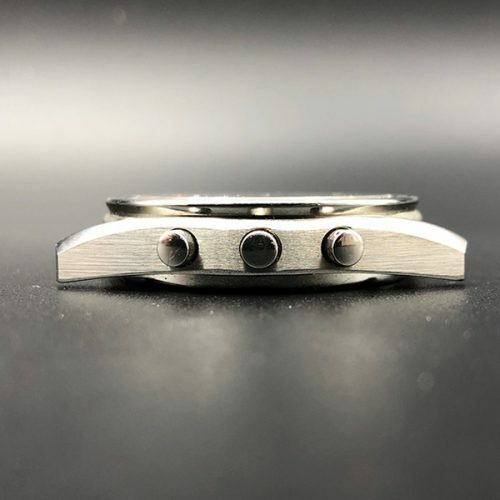 The bezel is the only common part to both the regular production model as well as the prototype. 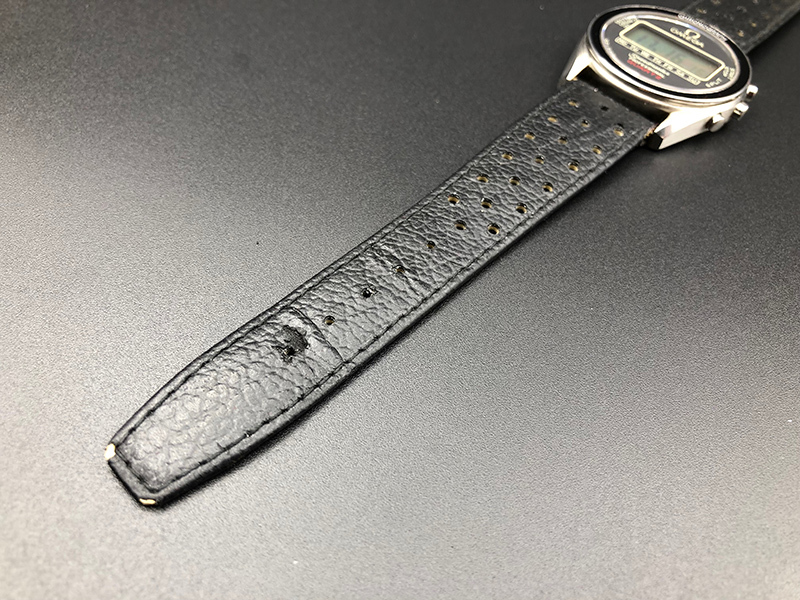 Also interesting to mention, the Alaska IV Prototype dial color is much lighter compared to the standard production model. 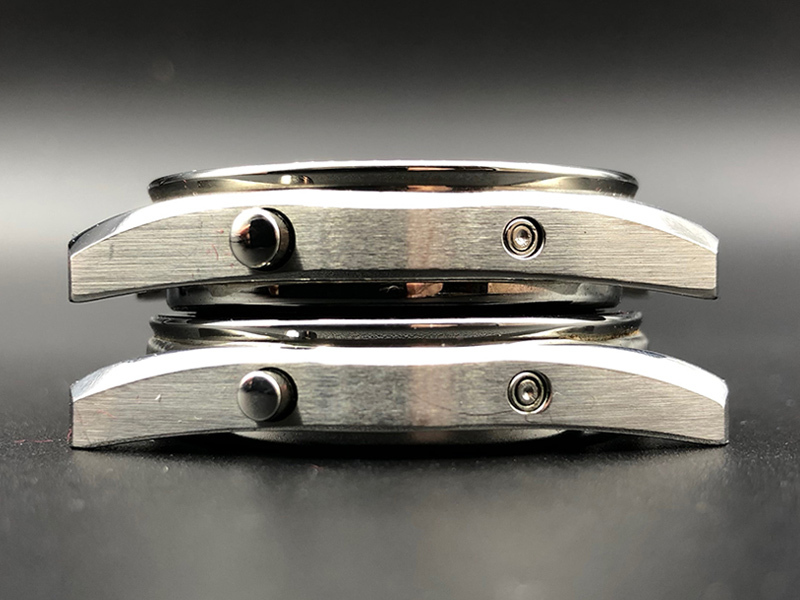 The case of the Alaska IV Prototypes is thicker than the regular production ST 186.0004 case, to allow enough space for the Prototype calibre 1621 with the “BETA light” added. 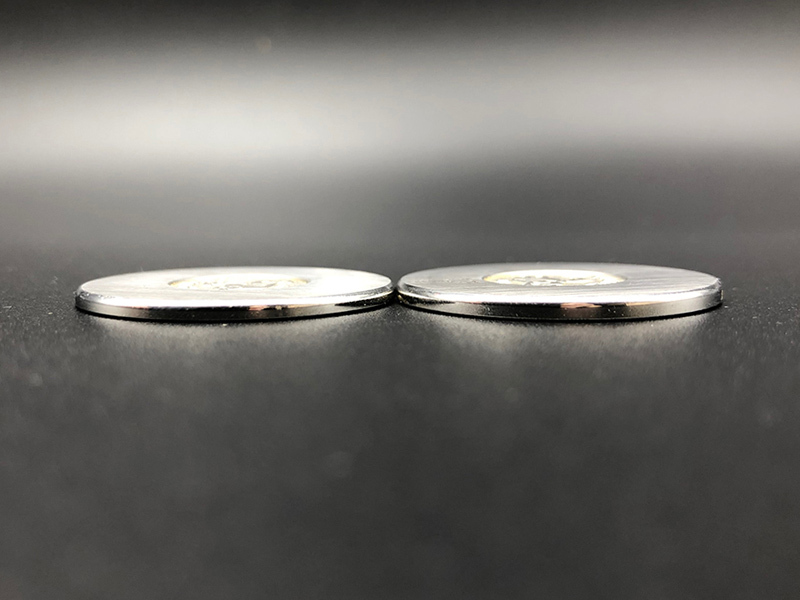 The comparison below shows very clearly the thickness differences of the sides. 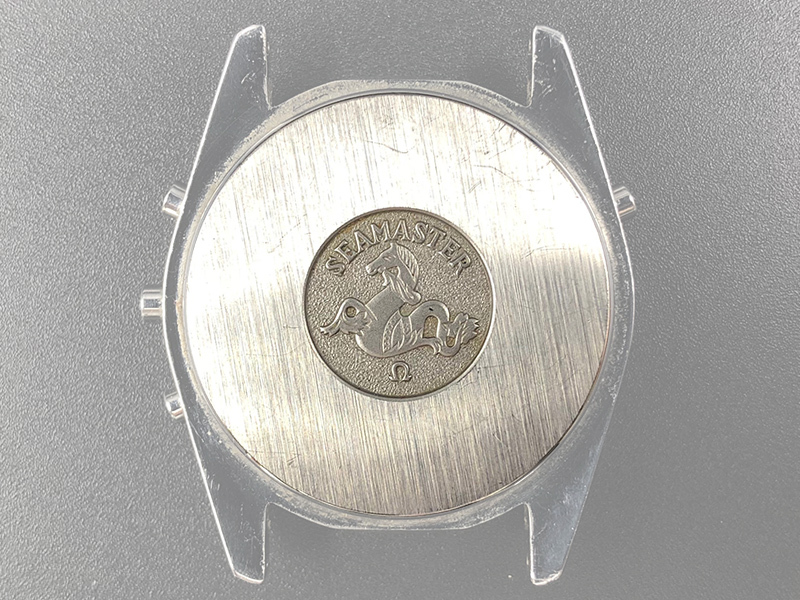 Also the pusher holes have a different diameter compared to a regular case, as the pushers are different, too. 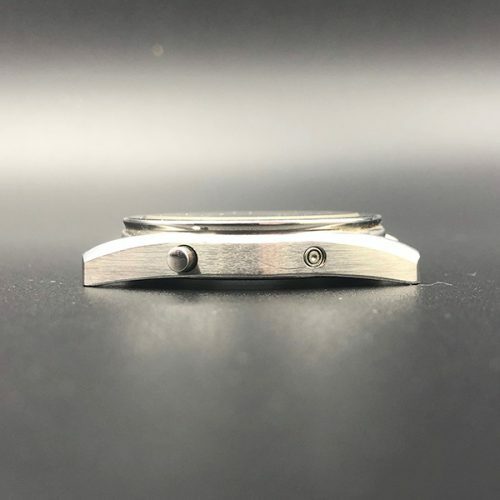 The diameter of the case back is 33,00 mm and it is 2,10 mm thick. 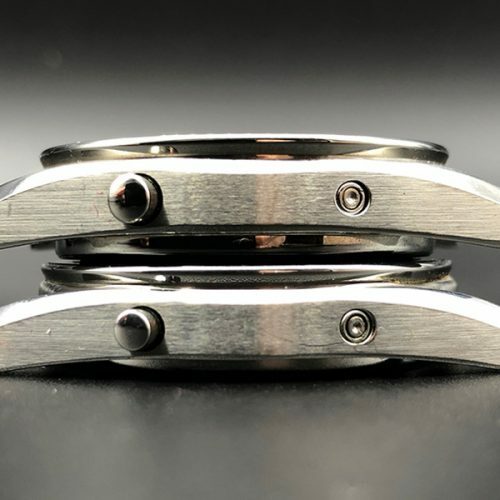 The case backs of the Alaska IV Prototypes were made of stainless steel with a brushed satin finish. 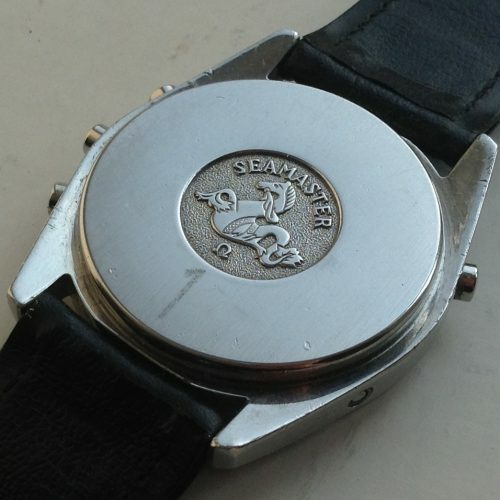 A badge with a word “Seamaster”, the Seahorse and the “Ω” Logo engraved in the middle. 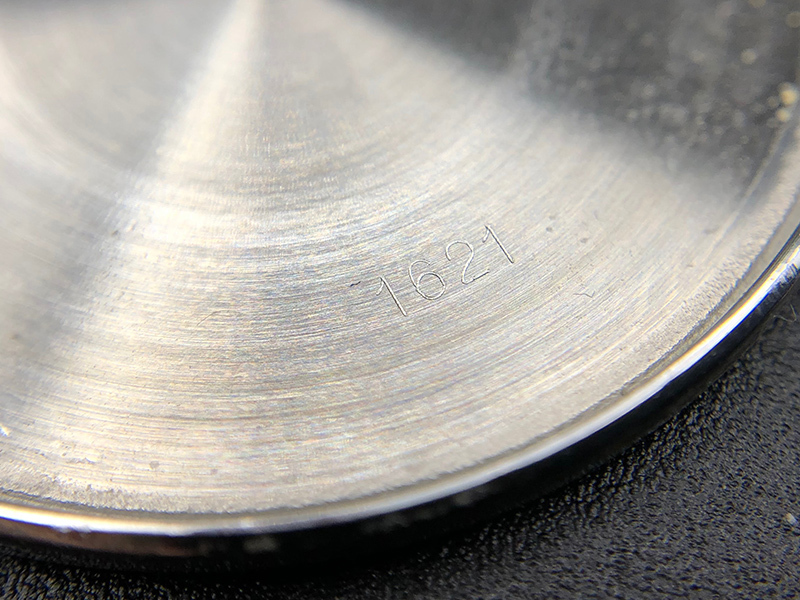 Inside the case backs were engraved with the Prototype calibre number “1621”. 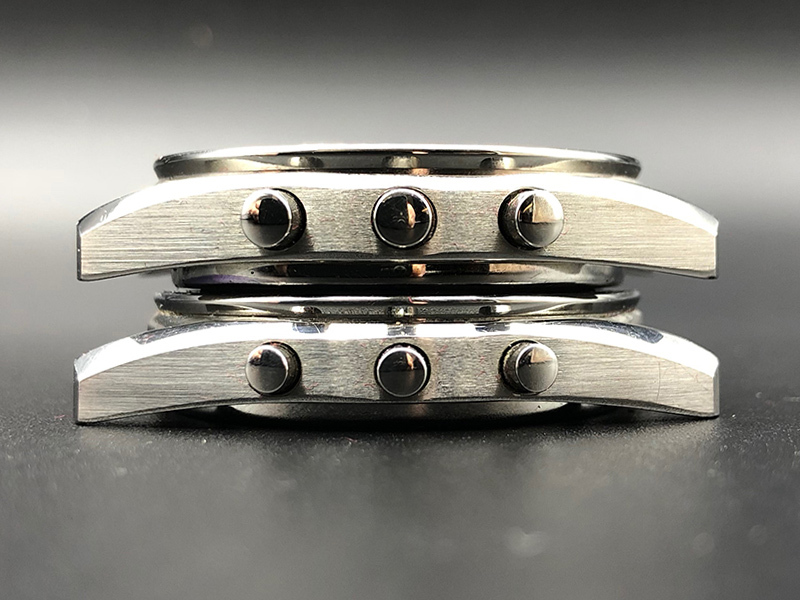 The case backs of the Alaska IV Prototypes were thicker than the regular production ST 186.0004 case backs, to allow enough space for the Prototype calibre 1621 with the “BETA light” added. 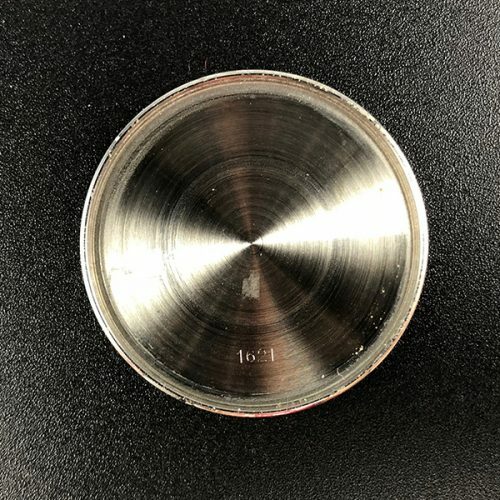 It is confirmed that 12 Alaska IV prototypes have been sent to NASA. 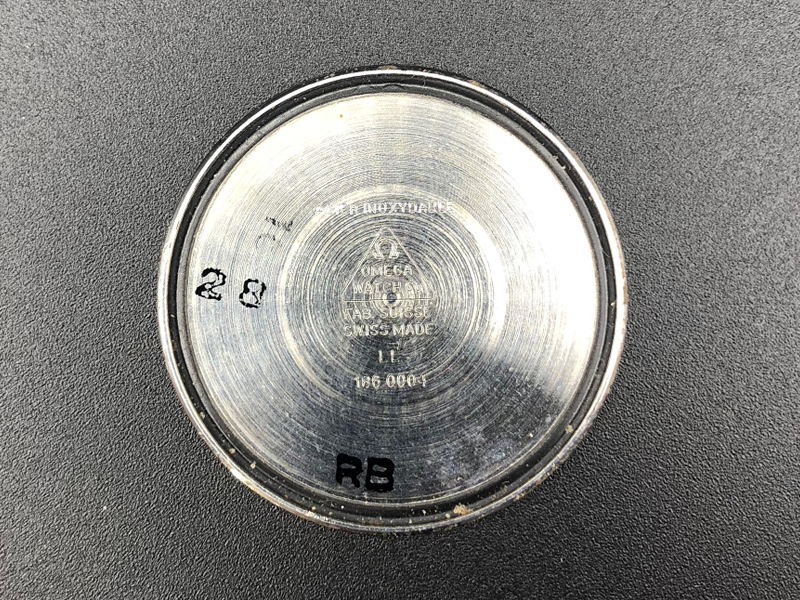 Nevertheless, as per today, it is not clear why and how many of them were numbered. Also, obviously, they weren’t numbered in a row. 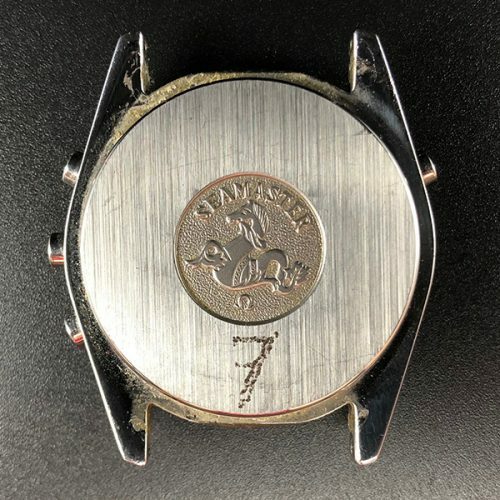 Some of the Alaska IV Prototypes were fitted with an unnumbered case back. 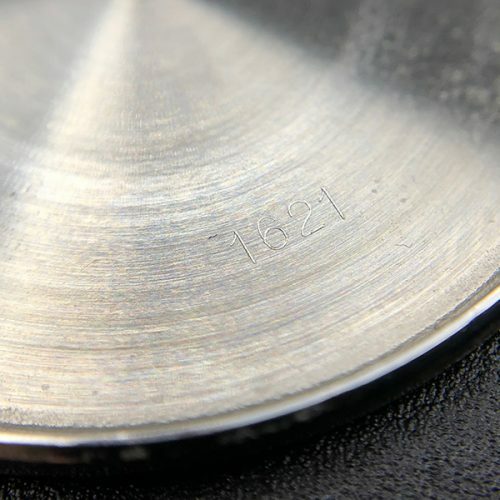 Some of the Alaska IV Prototypes have a number engraved on the case back. 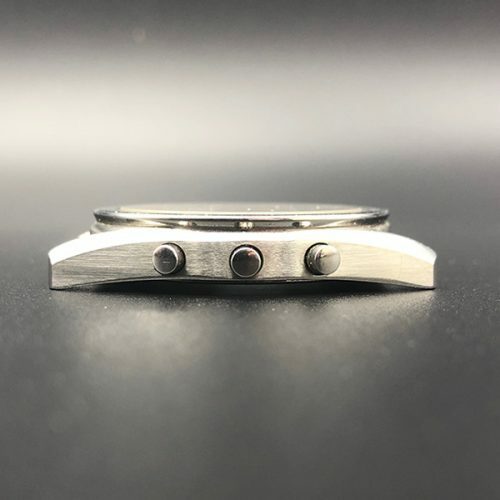 The movement of the Alaska IV prototypes is almost the same than the caliber 1620 from the regular model ST 186.0004 Omega Speedmaster Professional Quartz in terms of features but if you compare them aside, there are some notable differences. 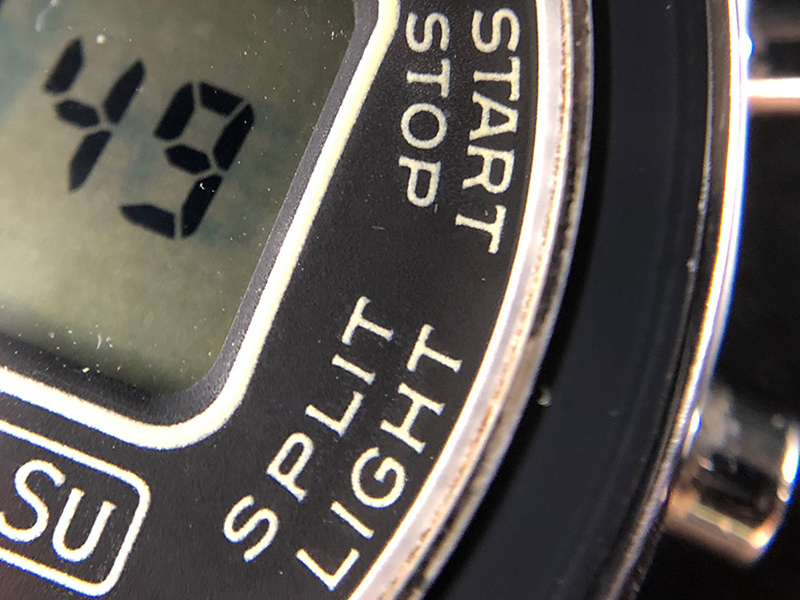 The main difference was about the way the LCD display was illuminated on the Prototypes : instead of a light bulb, it was permanently illuminated by two Tritium stripes, a system called “BETA Light”. 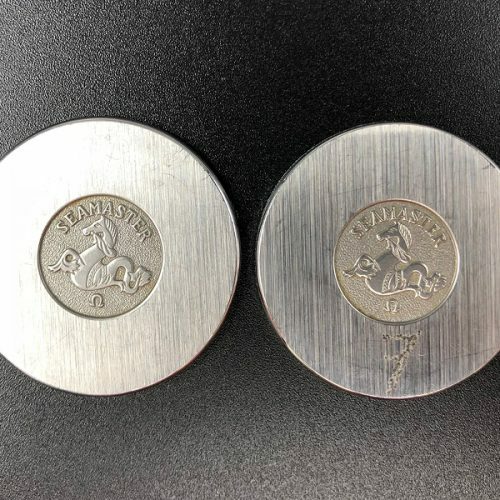 The diameter of the pushers is 3,50mm. 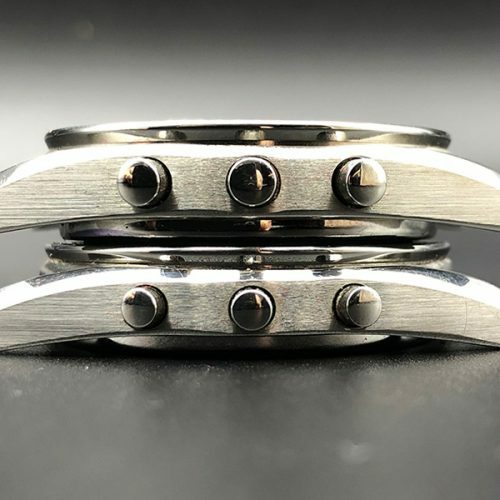 The pushers of the Alaska IV Prototypes are bigger than the regular production ST 186.0004 case. 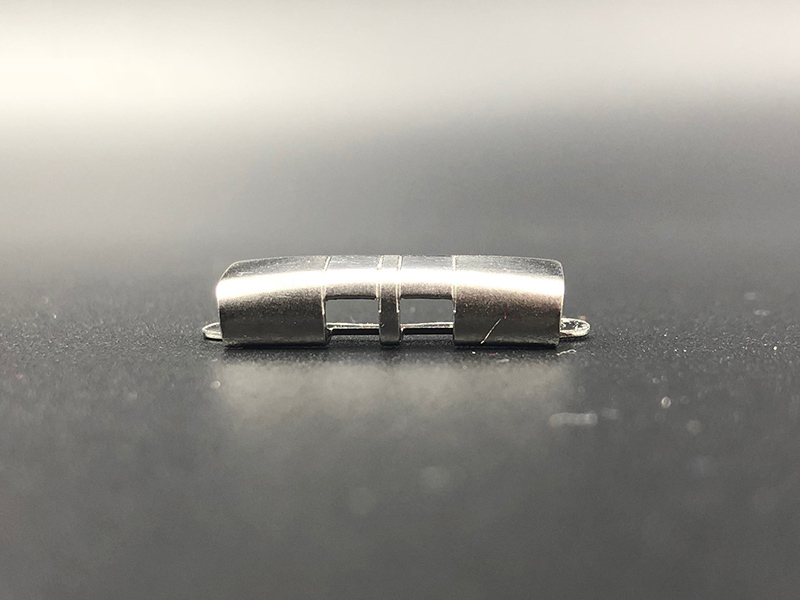 It is assumed that bigger pushers have been required to meet the NASA expectations towards the prototypes. However, there’s no official documentation on that matter as per today. 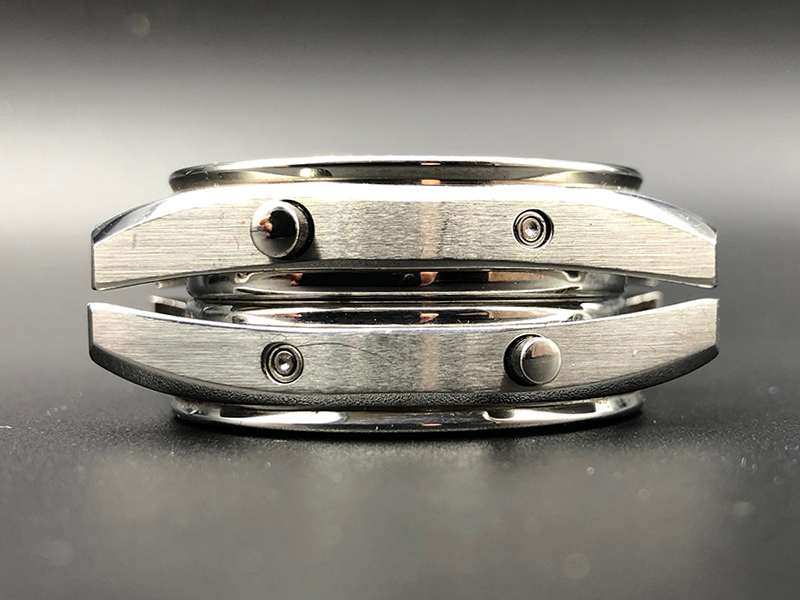 As prototype watches, Alaska IV haven’t left the manufacture on stainless steel bracelets. 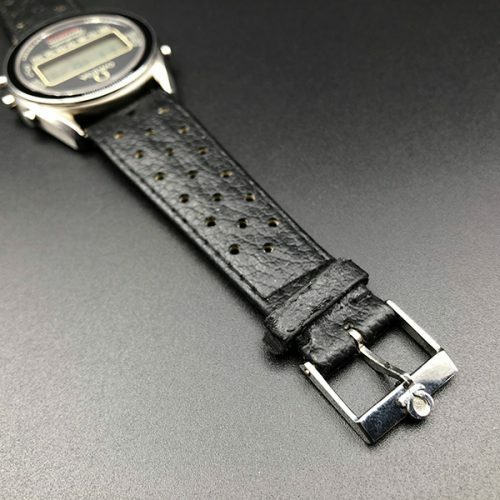 According to Omega, they were delivered on a Corfam black racing leather straps with signed stainless steel buckles. 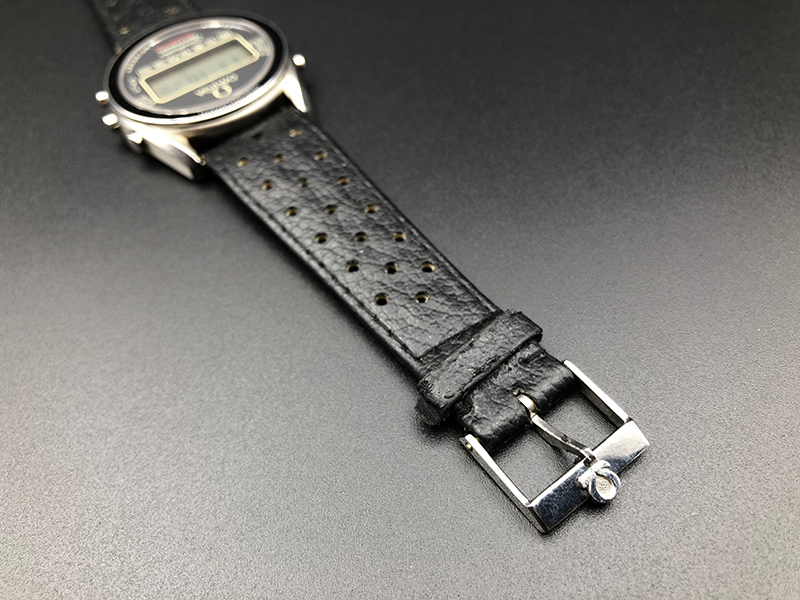 Per my own observations, some prototypes were fitted with original Omega black leather straps of that era with signed stainless steel buckles. 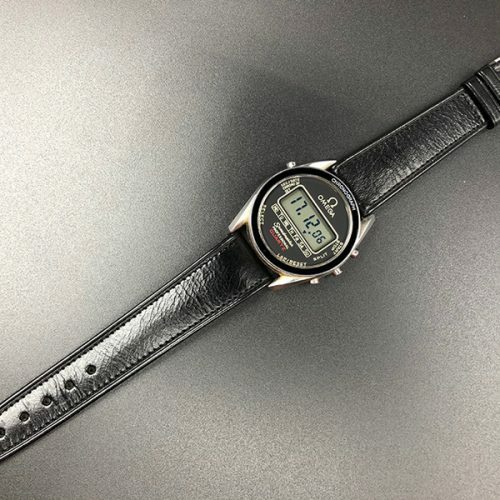 Very difficult to accurately price this model because so few of them come up for sale. 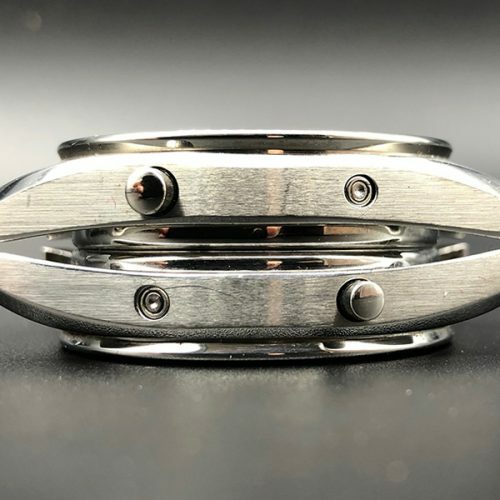 Alaska IV Prototypes are much harder to price. 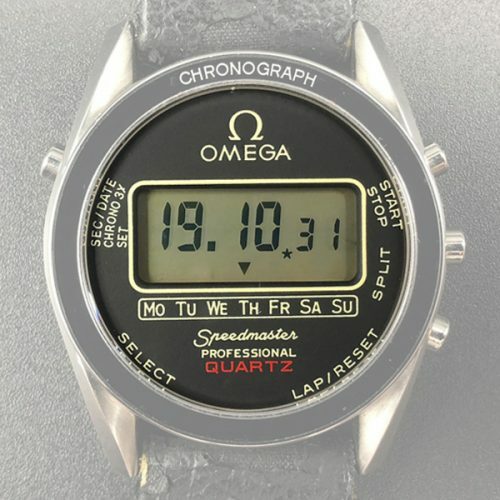 The last offer in a public sale was back in December 2015, on the “Omega Speedmaster 50” auction from Christie’s. 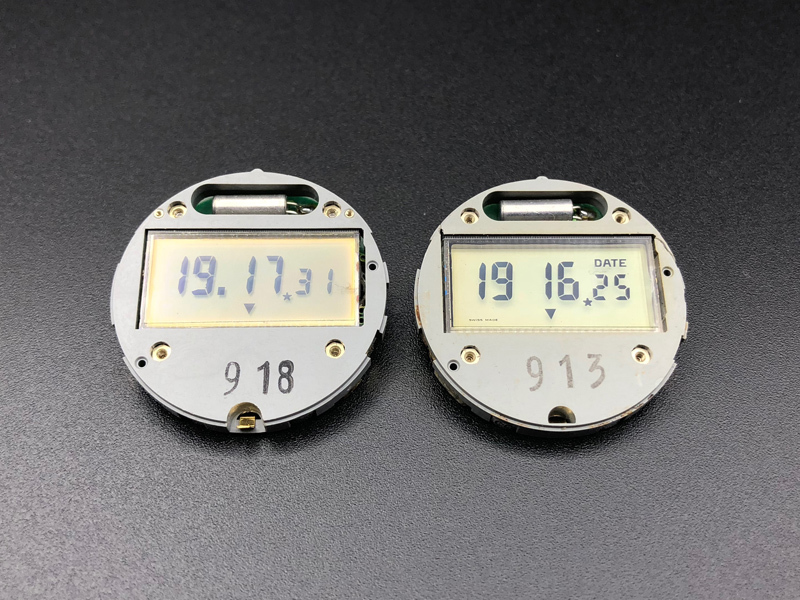 Two numbered Prototypes were auctioned together as a pair. 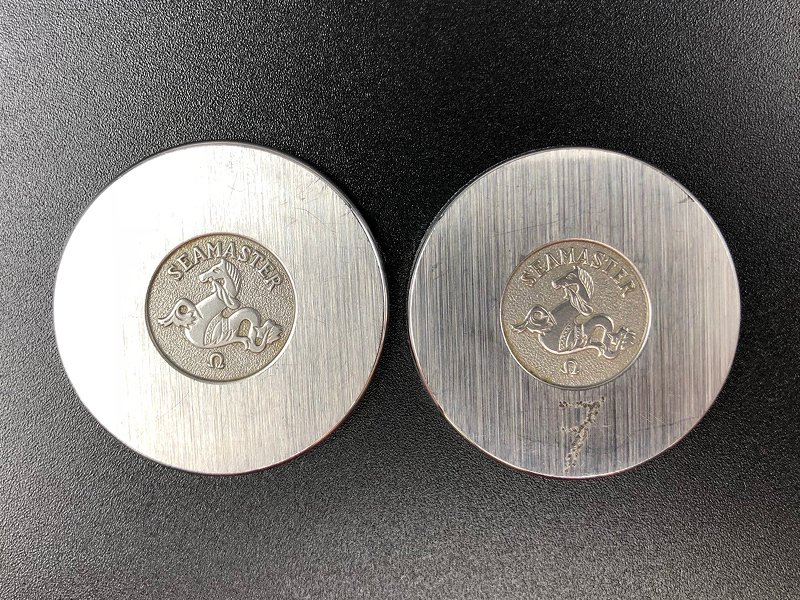 Estimate for the pair was then 2-4’000 USD and they hammered at 47’500 USD including premium. 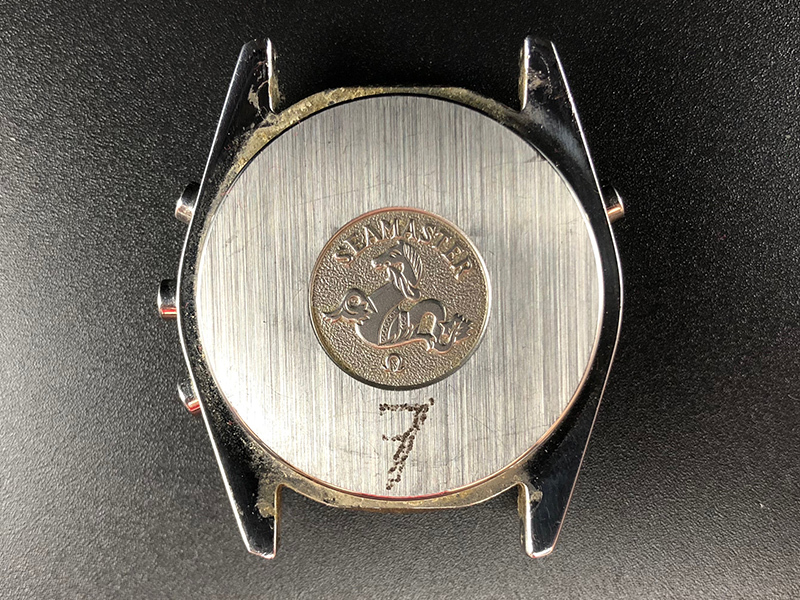 This lot wasn’t the only one to go through the roof in terms of result compared to the estimation, a dedicated thematic auction has probably helped to add infatuation. 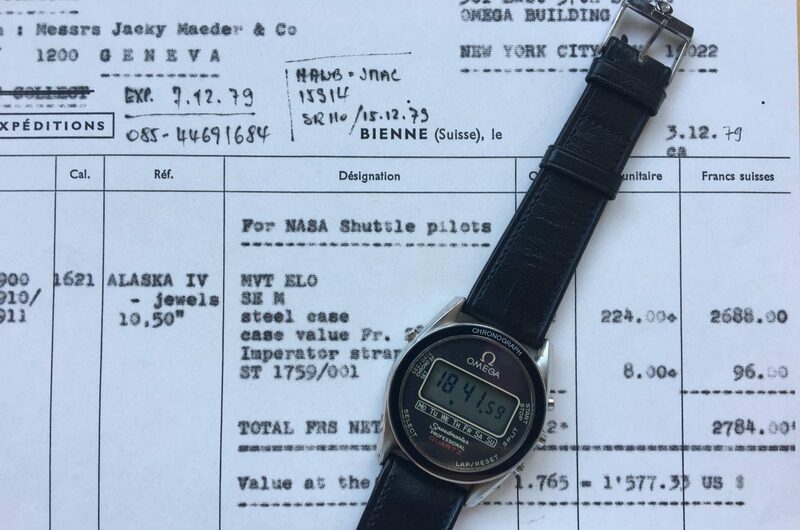 Those Alaska IV Prototypes appear very rarely for sale hence it’s very difficult to provide with accurate observations on trade prices. 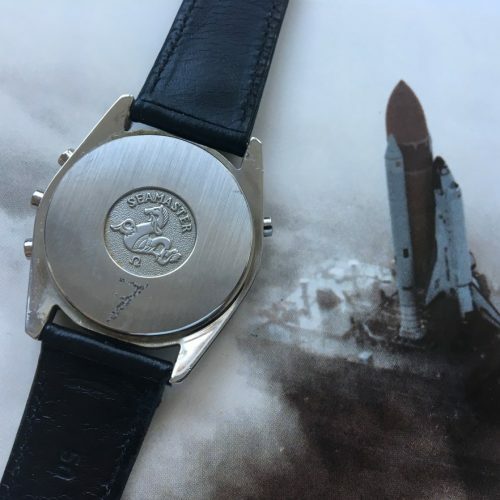 In any case, any claimed Alaska IV Prototype must match all the criterias and specifications described on this page and must be accompanied by an Extract of the Omega Archives confirming the authenticity. 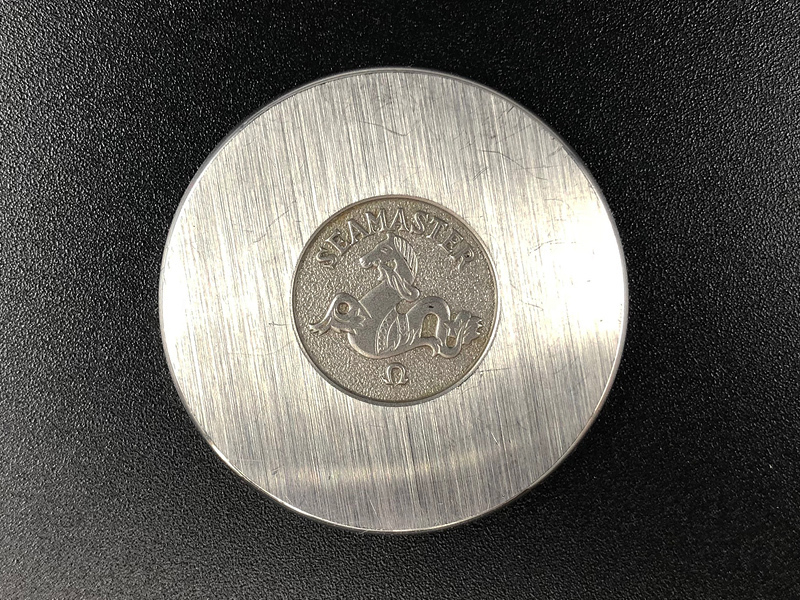 Firstly this whole work is free to read – please use it and quote from it without inhibition, but a small favor I would ask would be to give attribution when copied so that others may be lead to the source. It’s worth mentioning that this is an ongoing work. 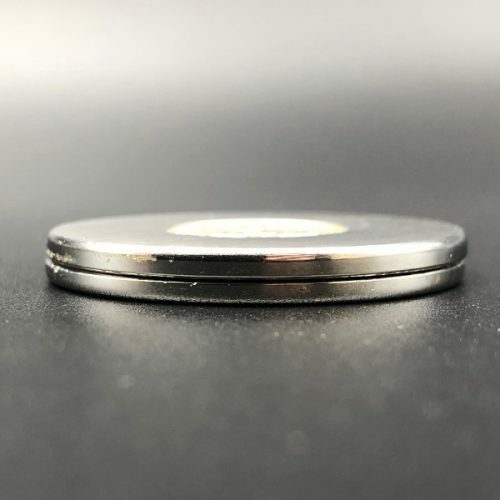 The more info provided by the collector community at large the more we can refine and perfect this and future websites. 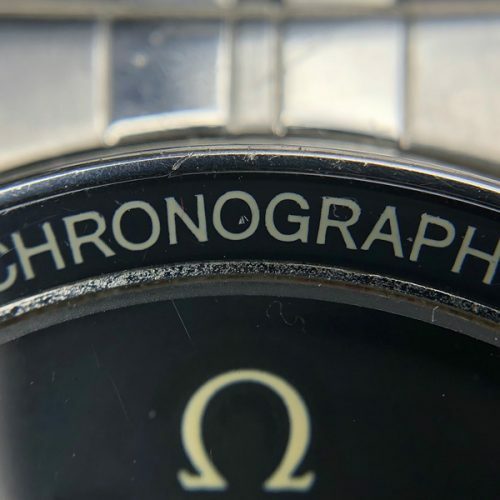 To the redoutable and erudite staff of the Omega Museum – Alain, Petros and David. 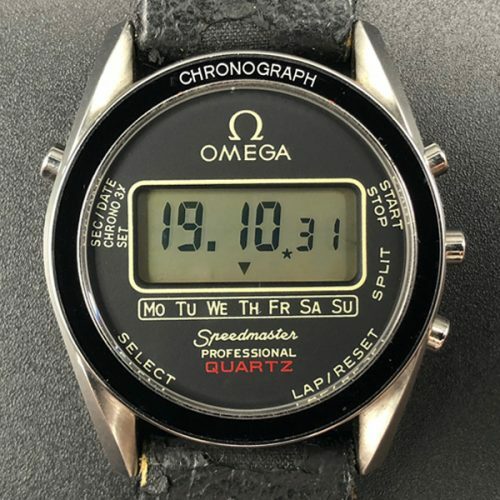 To the exceptionally helpful and well informed collectors on the Omega Forum. 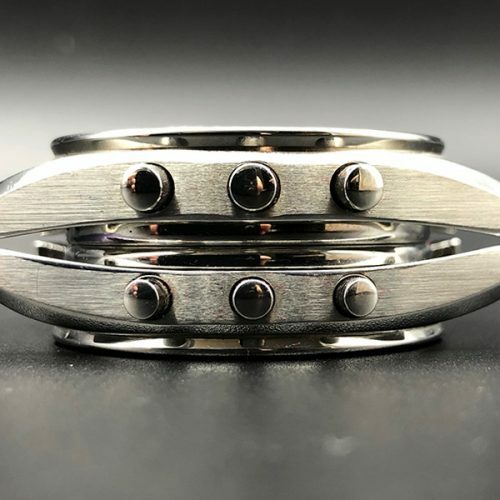 To Roy & Sacha Davidoff. 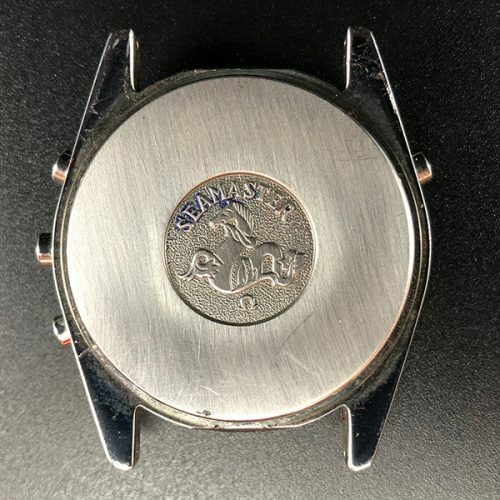 To fellow collectors and friends who supported me and provided a wealth of information to digest. 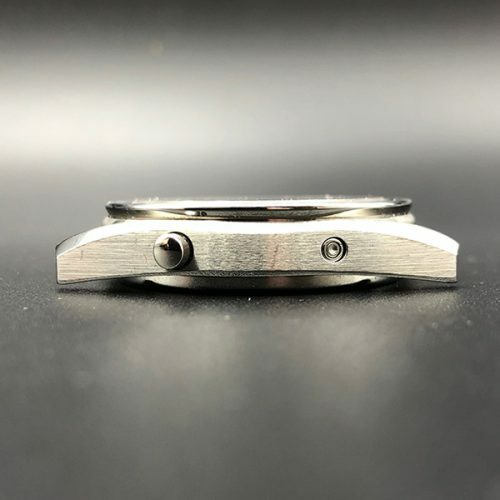 If you are a keen collector you have no doubts come across a wonderfully informative site Caliber 1040. 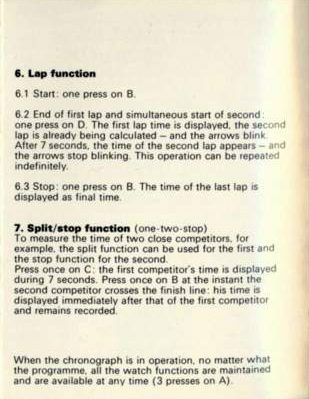 This website was created by a true enthusiast and superb researcher. 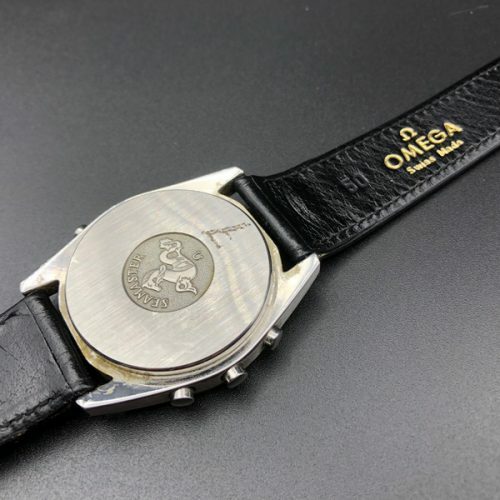 In addition to an analysis of the amazing diversity of the 1040 caliber it also highlights another remarkable Omega model – the celebrated 125.